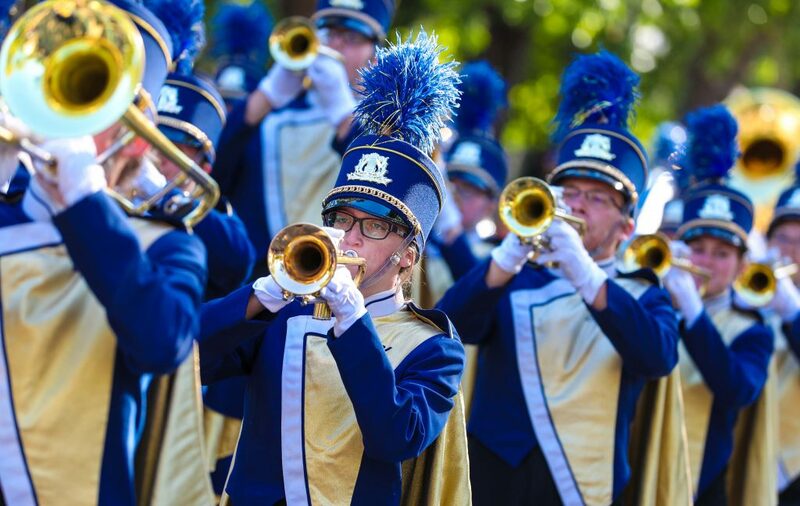 This post has already been read 1928 times! 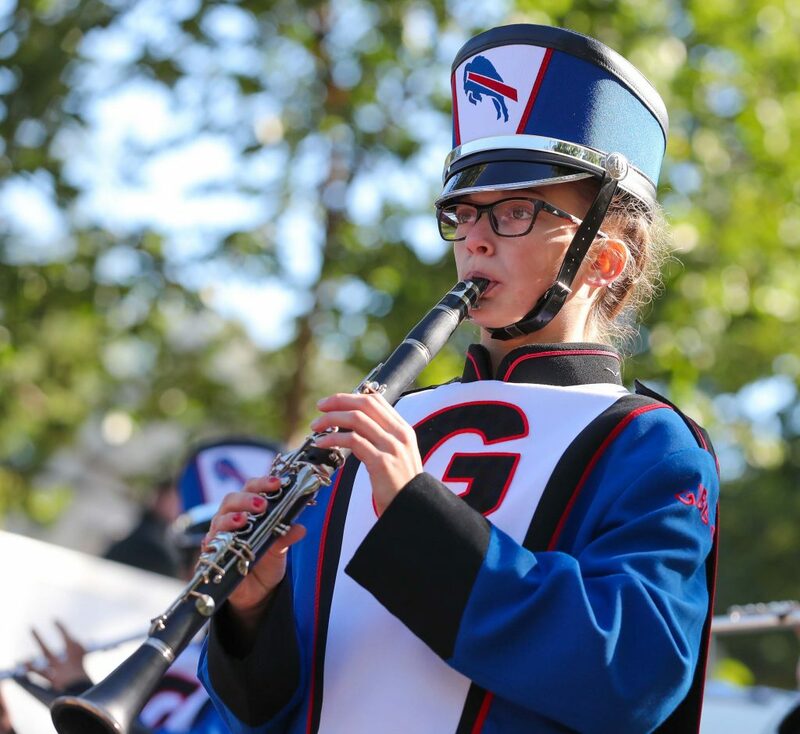 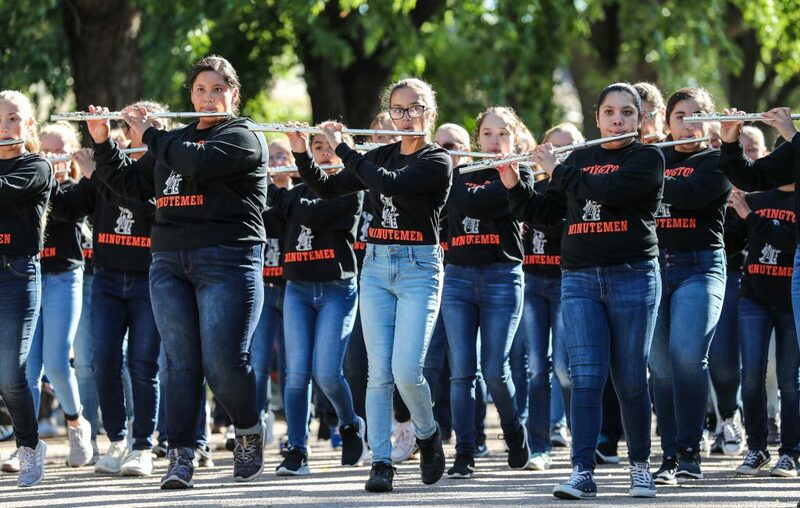 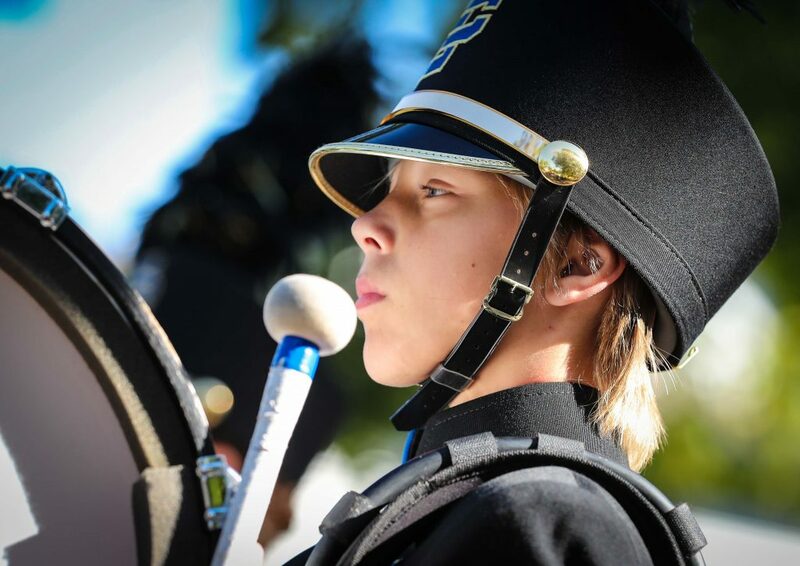 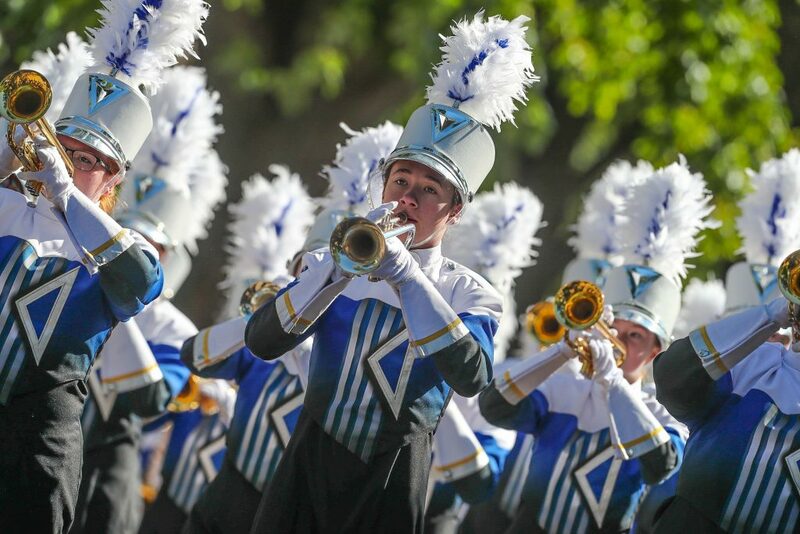 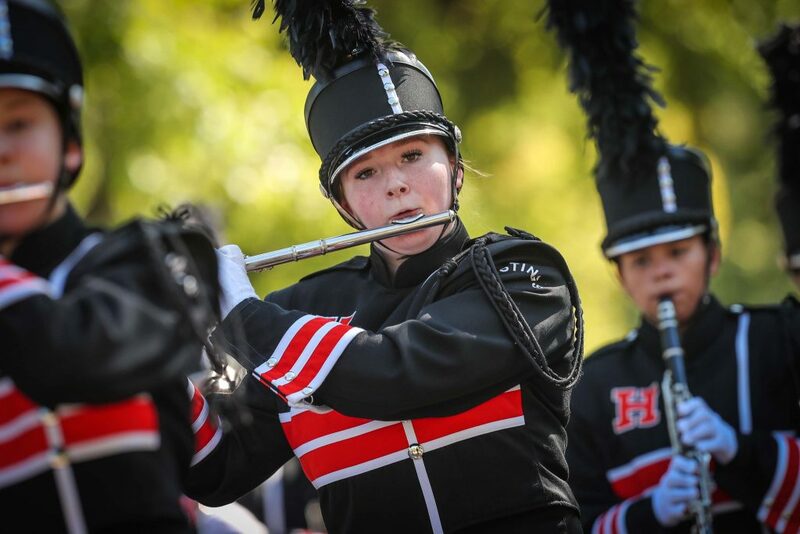 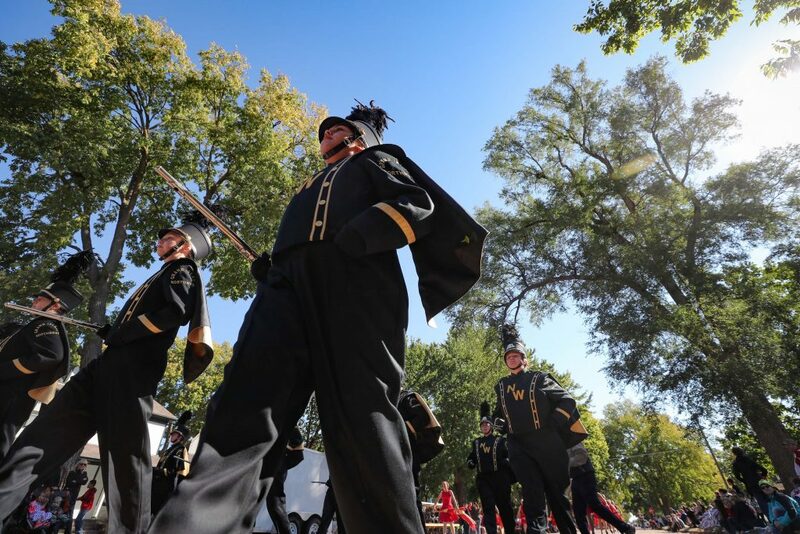 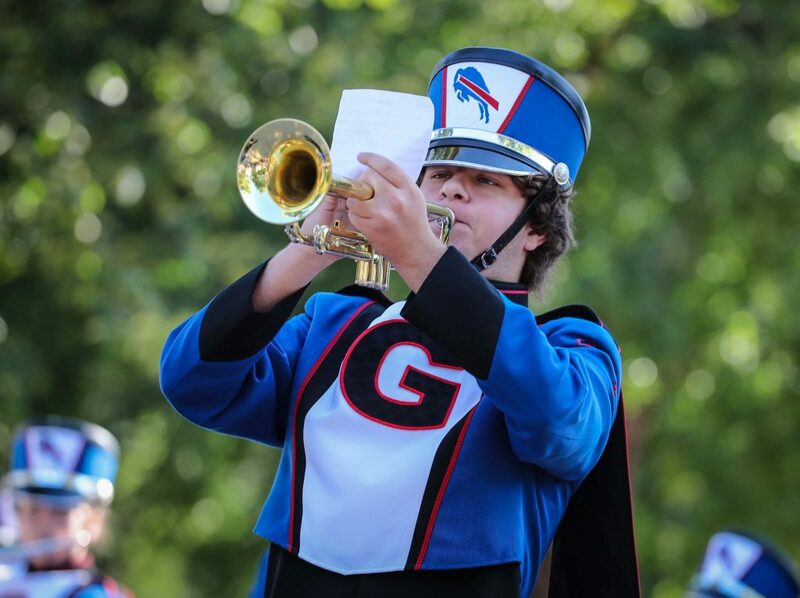 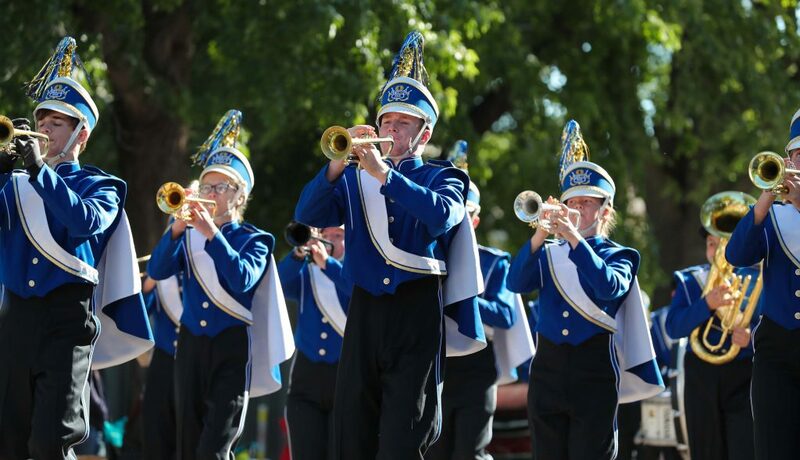 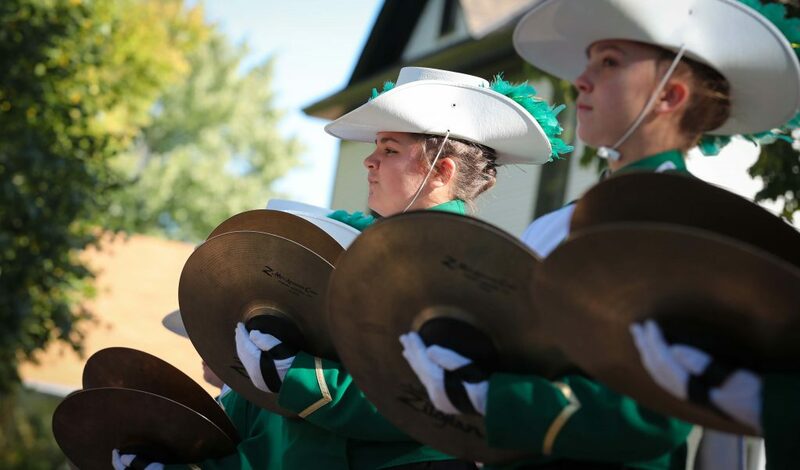 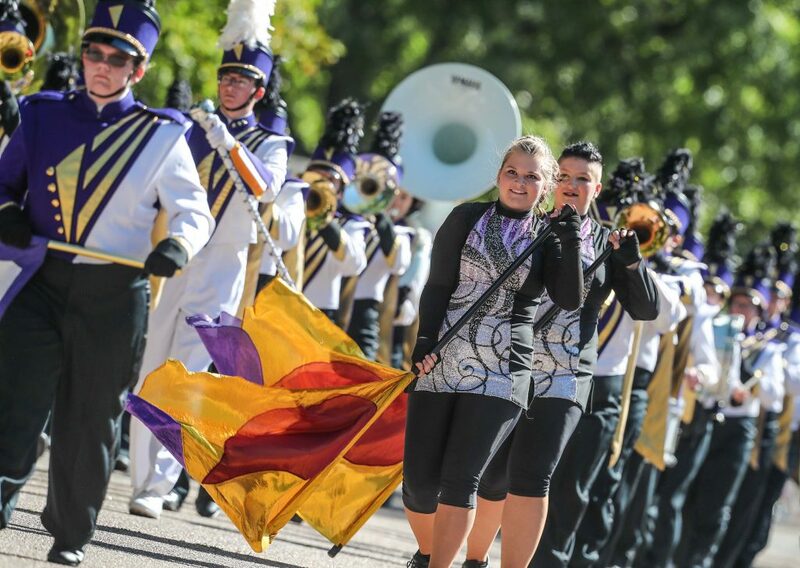 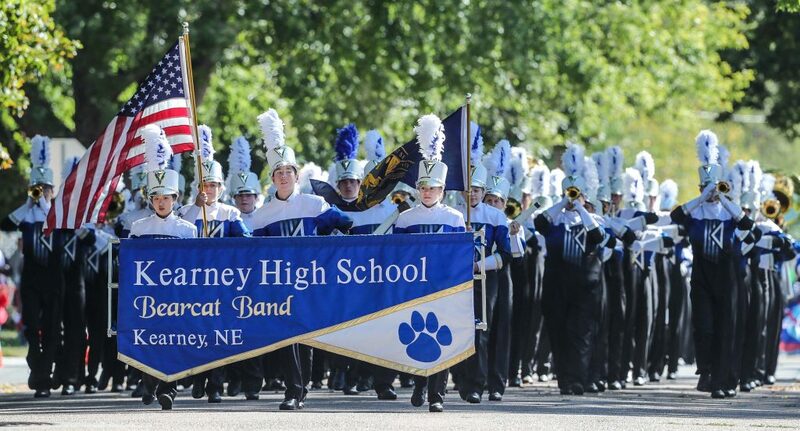 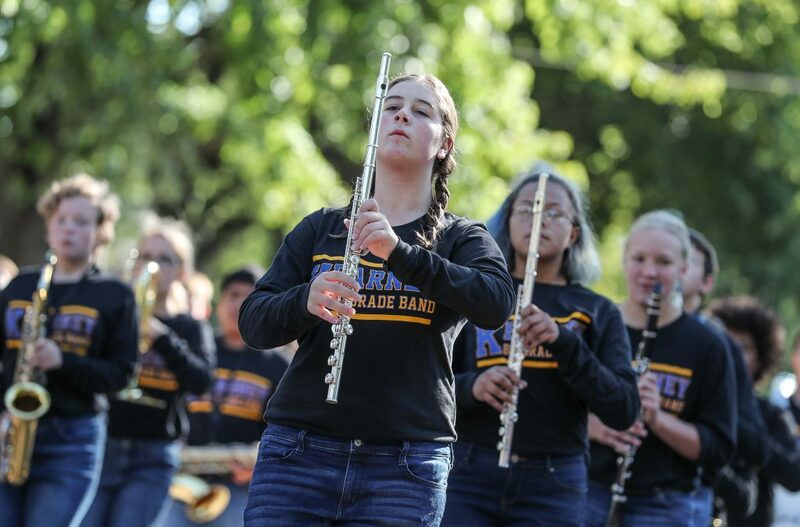 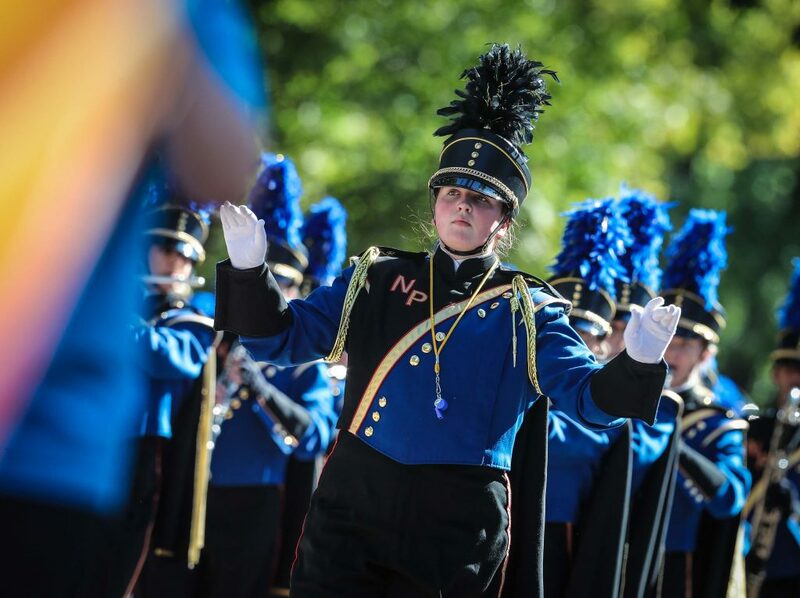 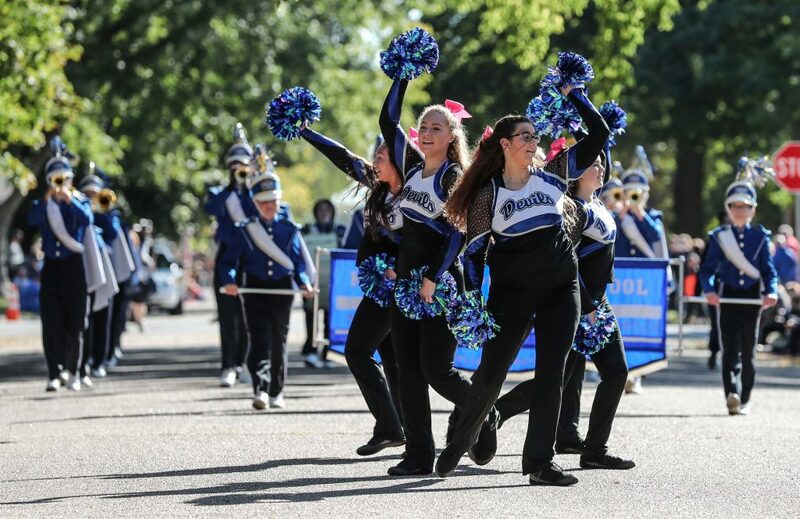 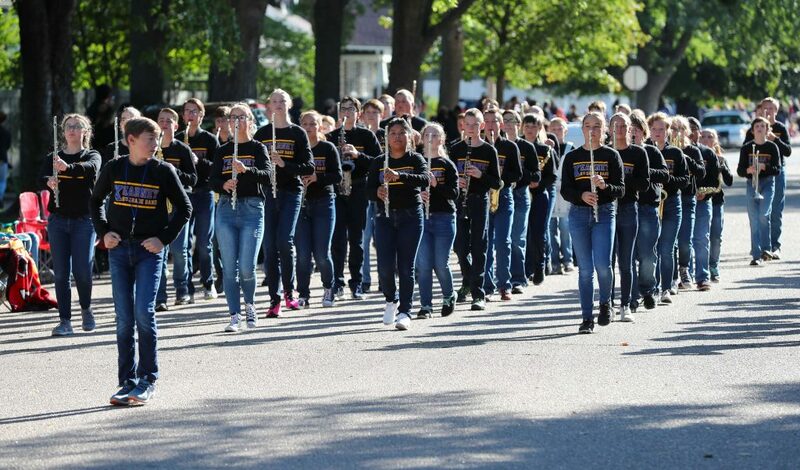 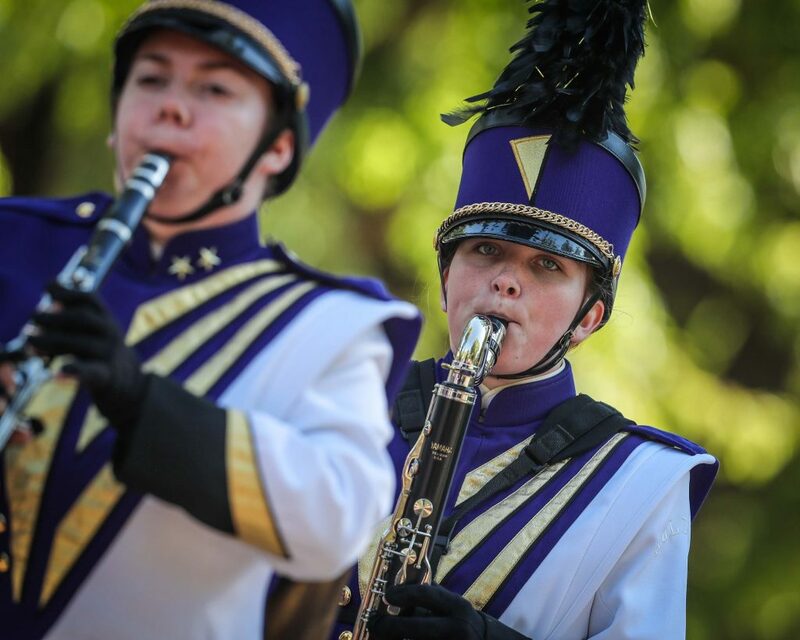 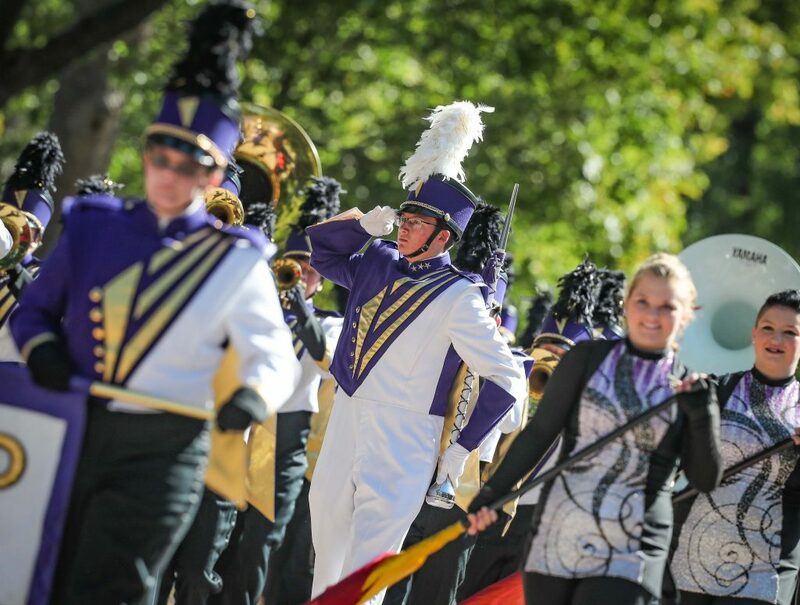 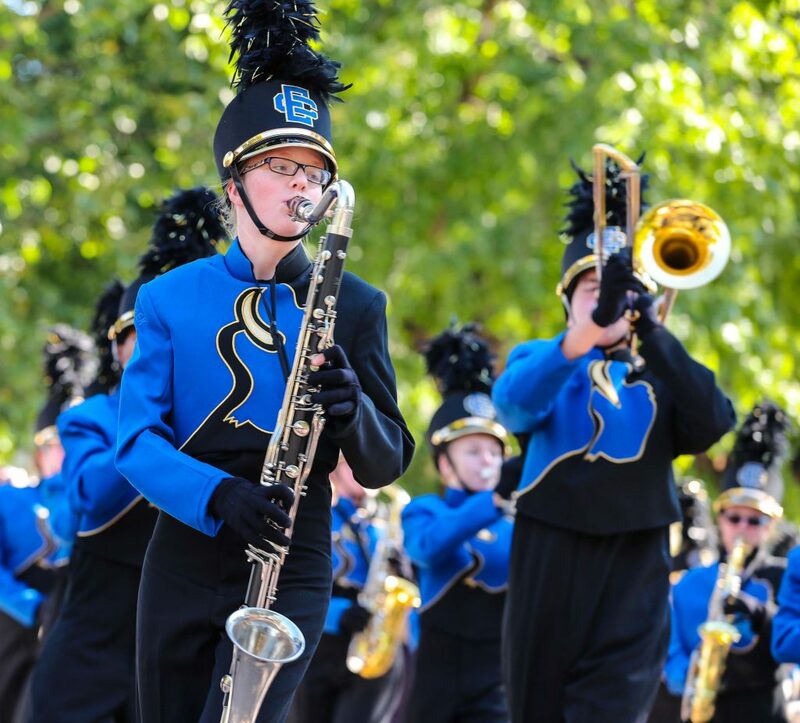 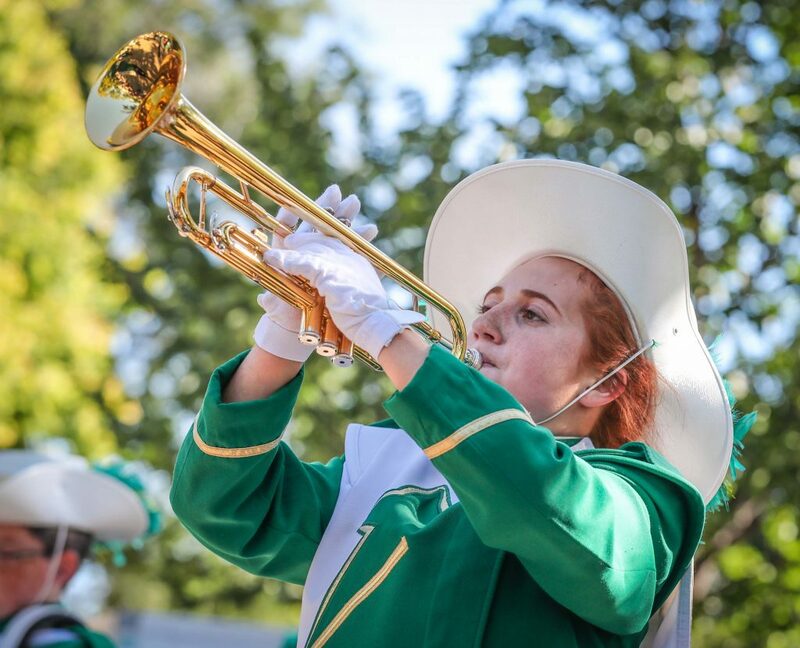 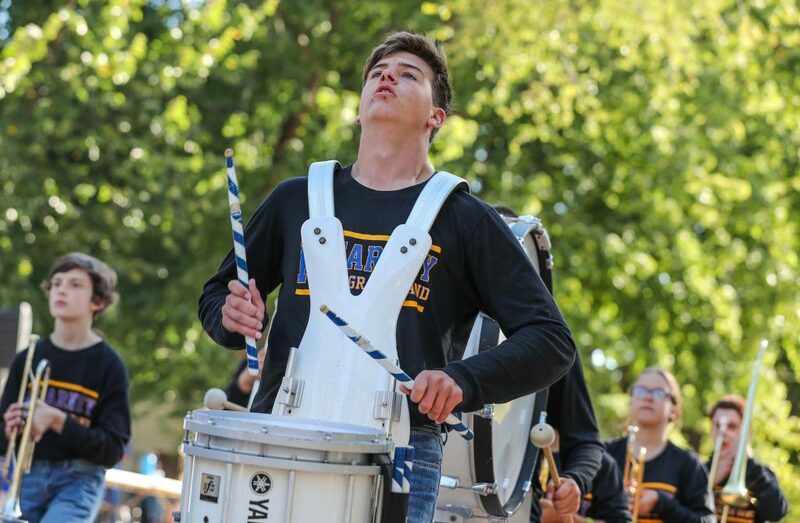 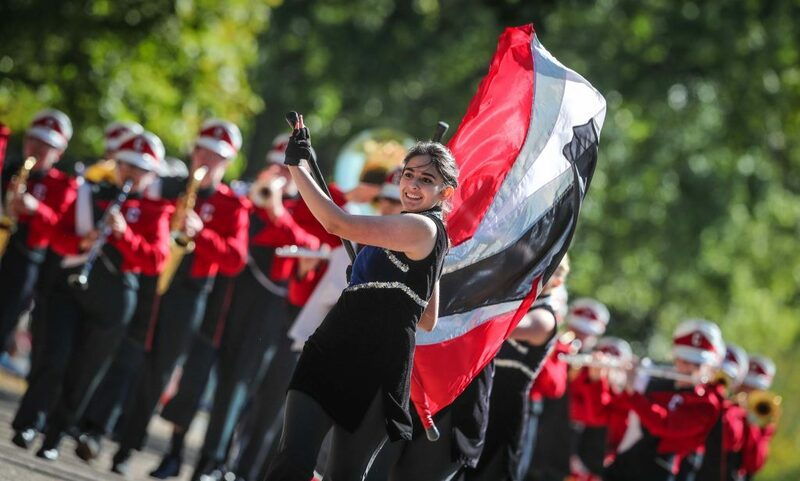 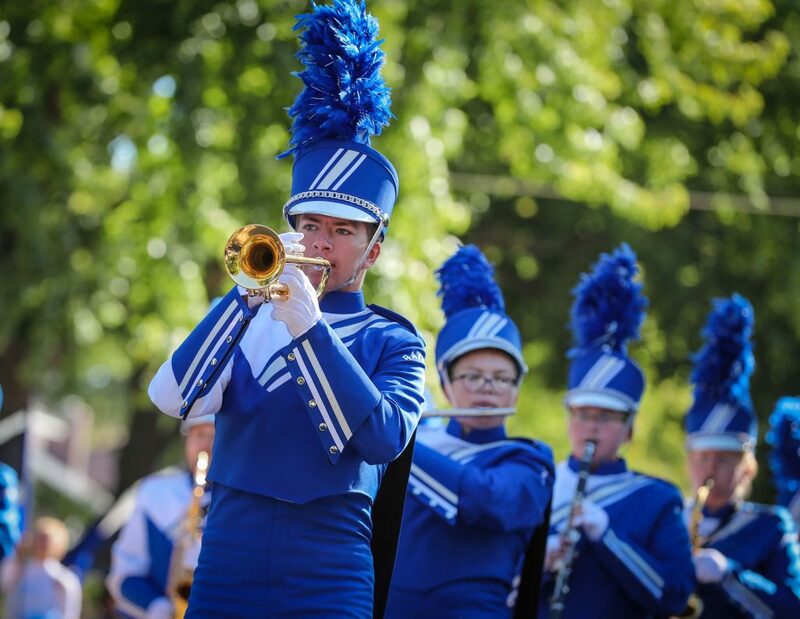 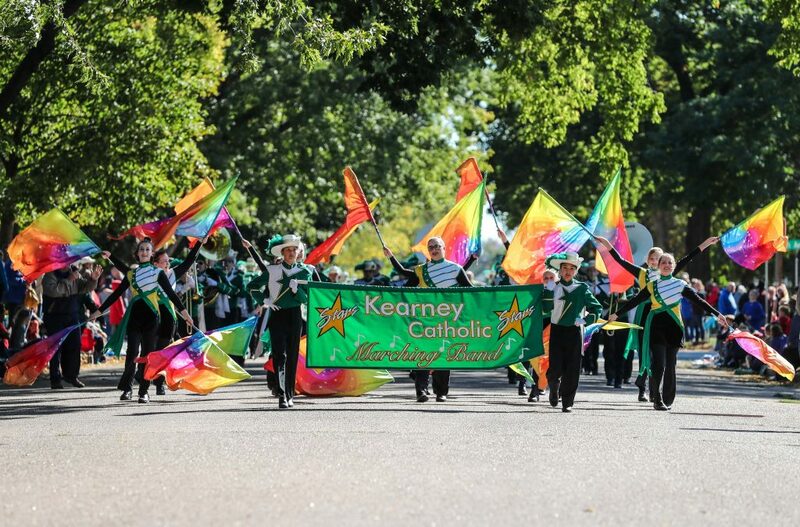 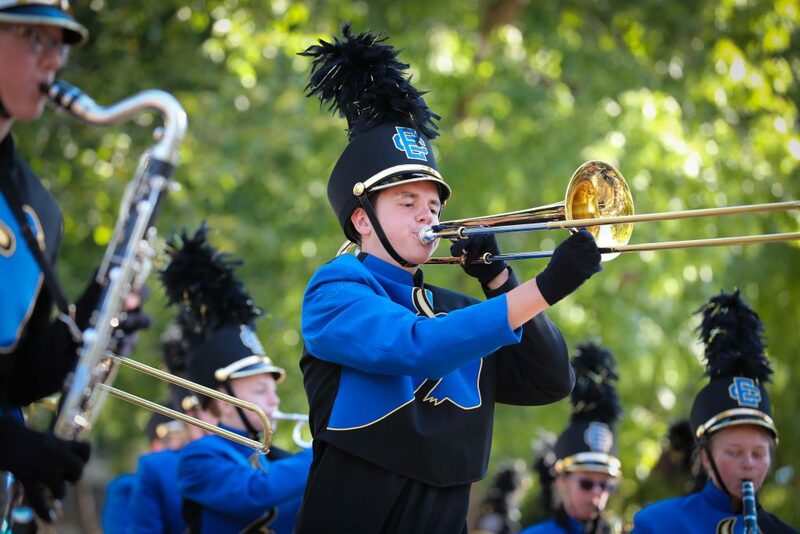 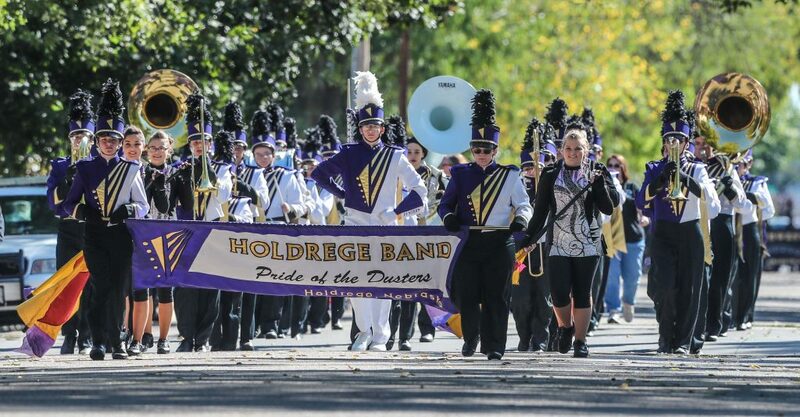 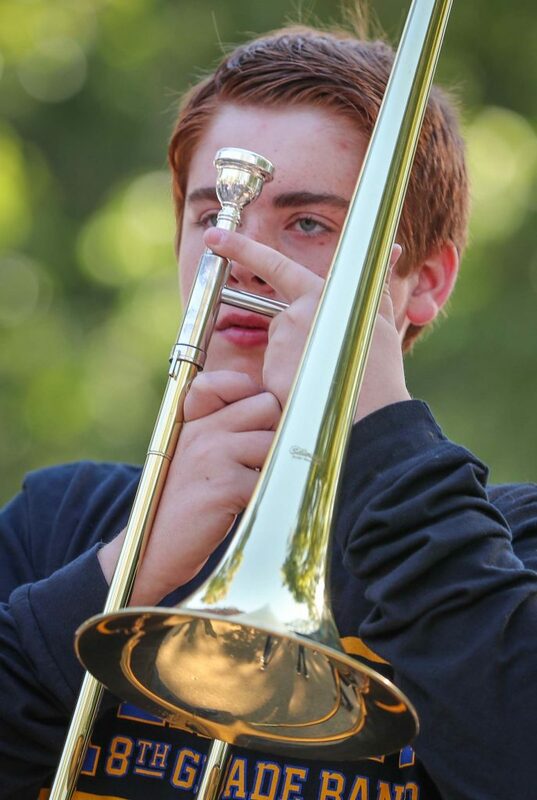 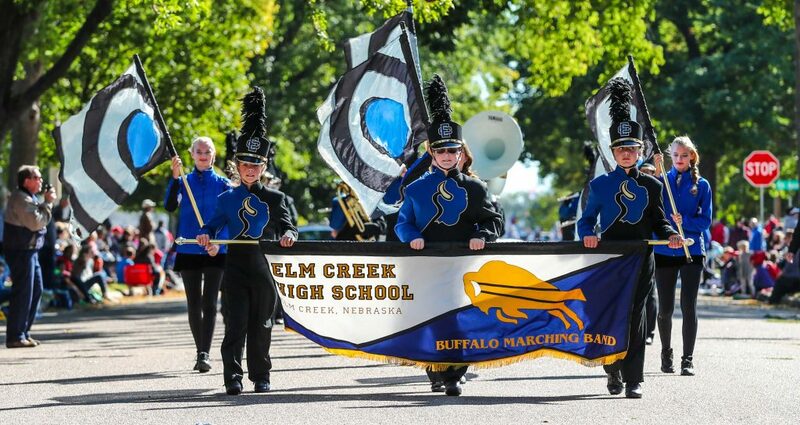 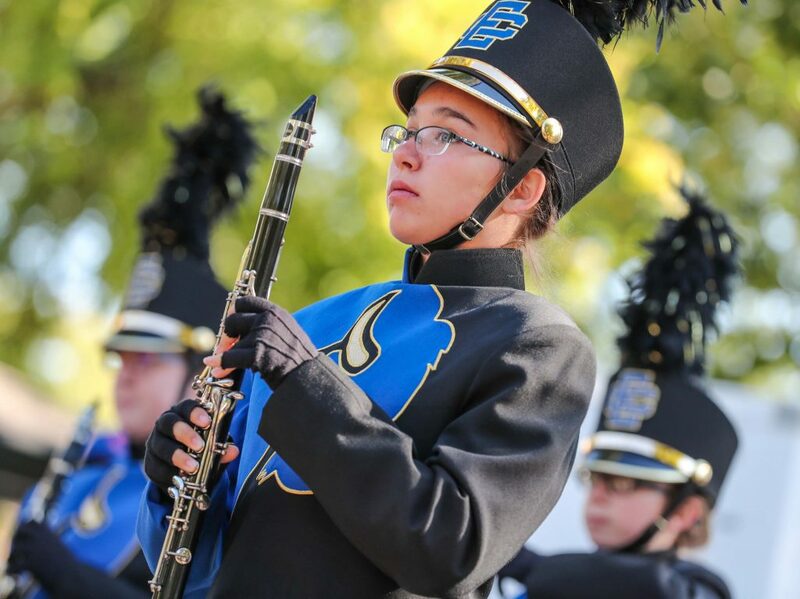 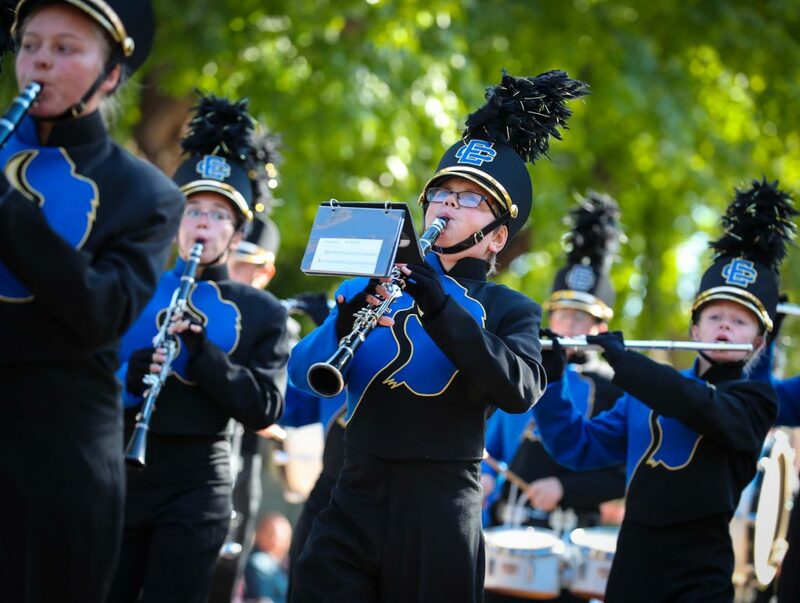 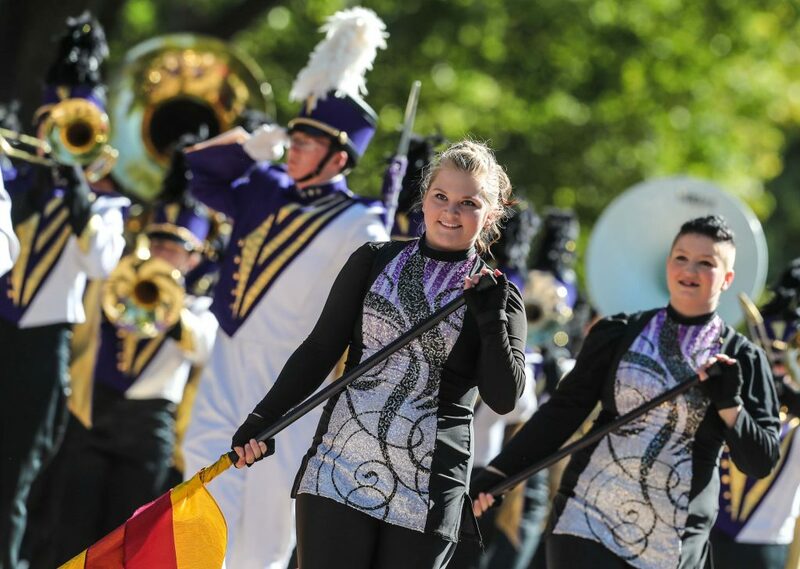 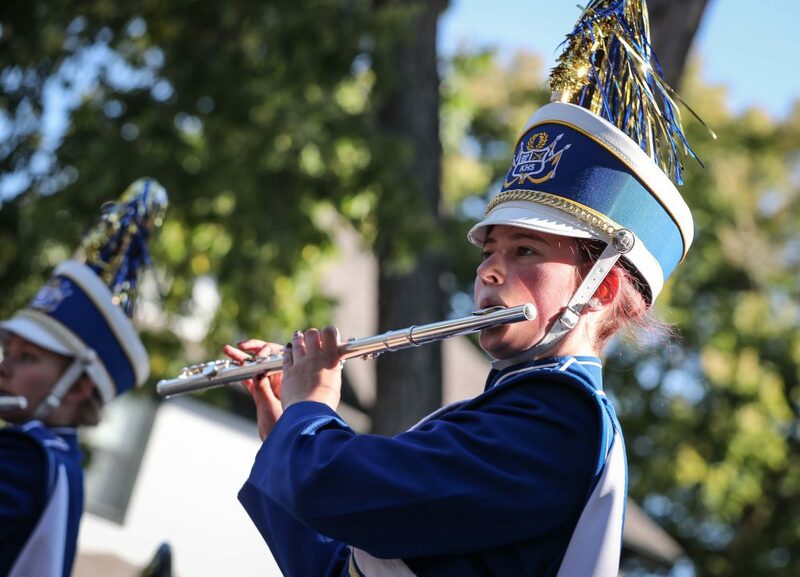 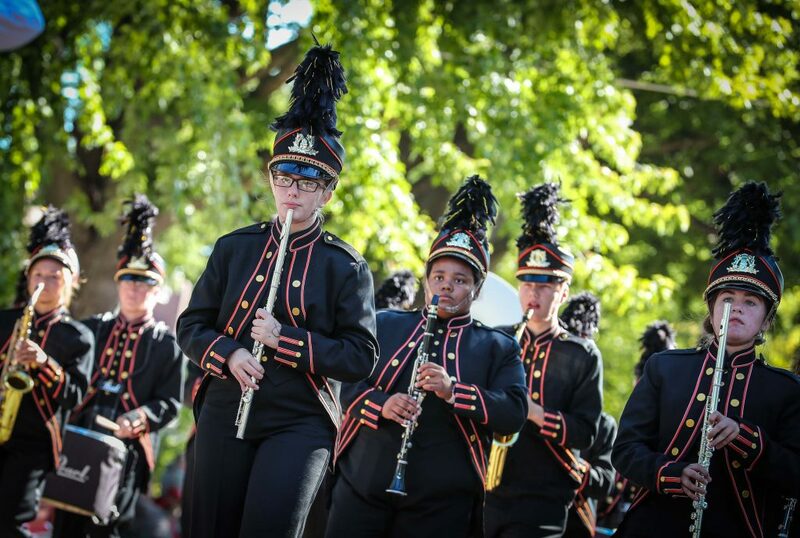 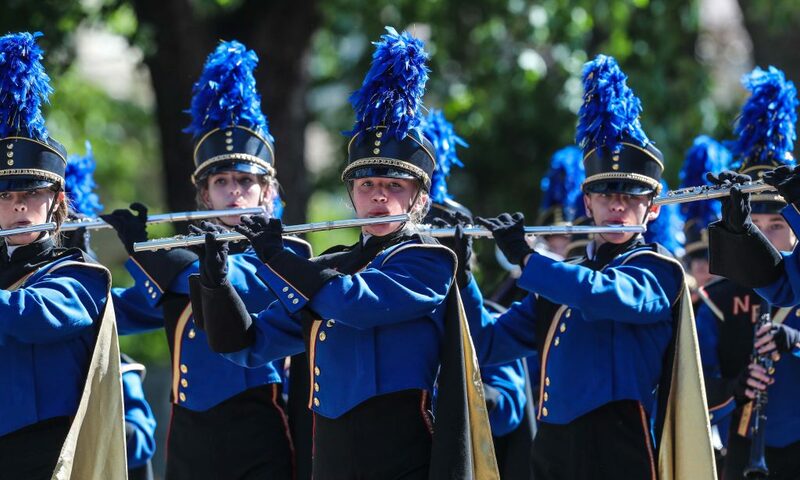 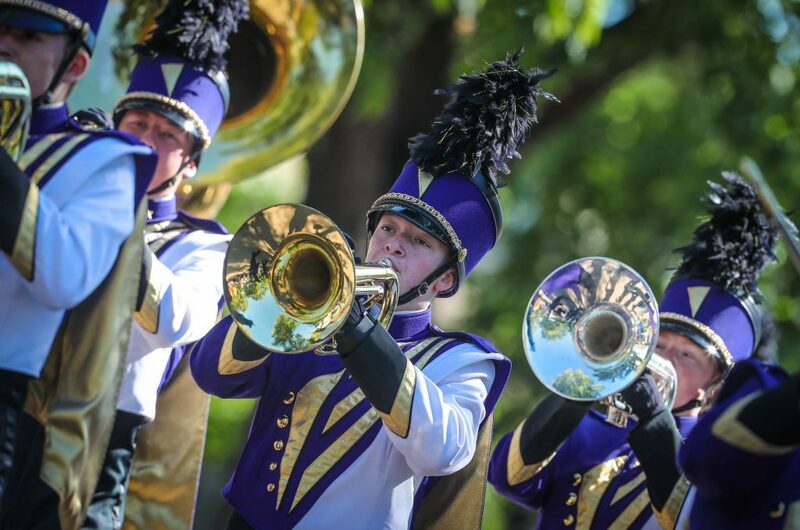 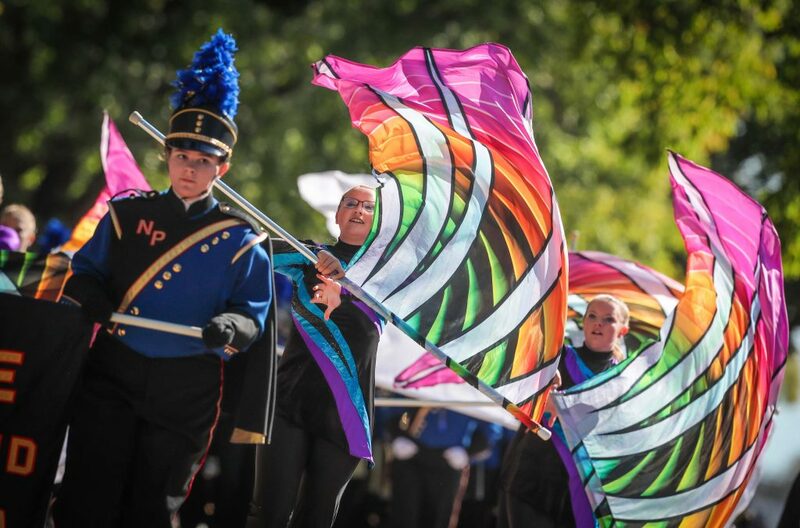 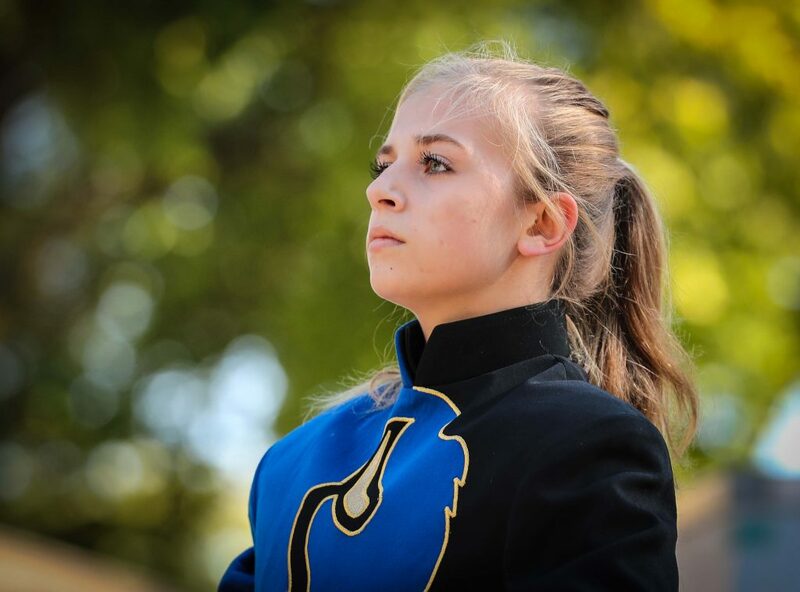 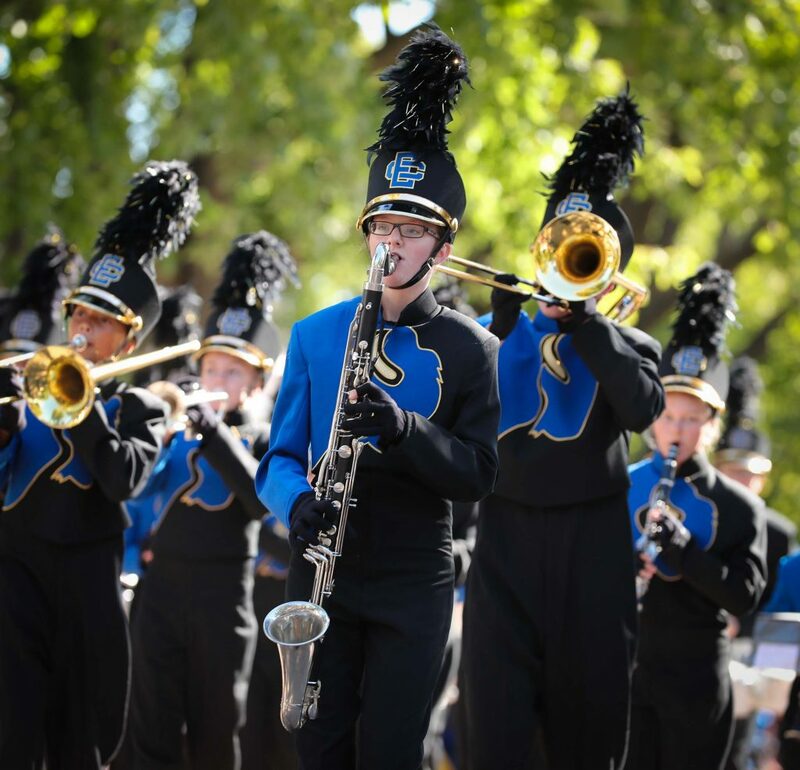 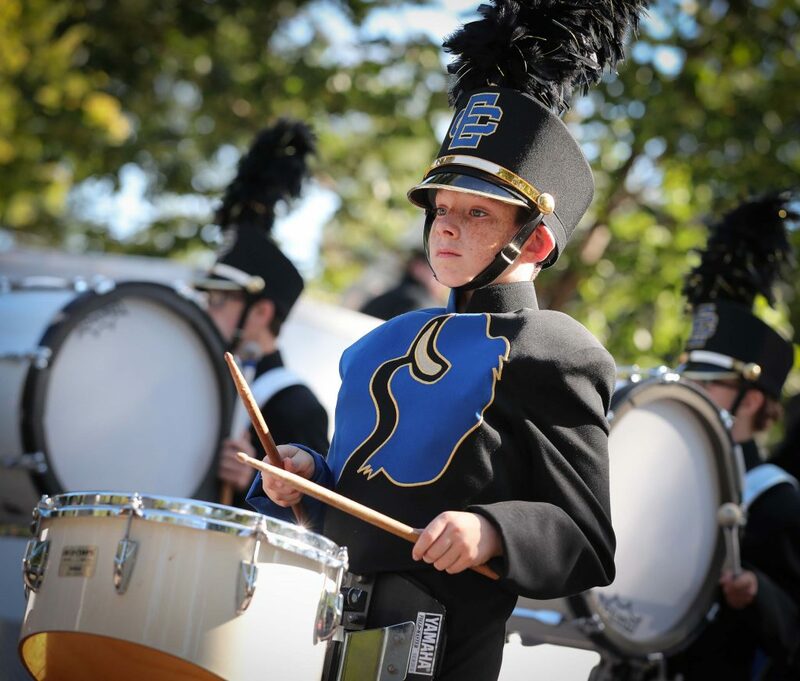 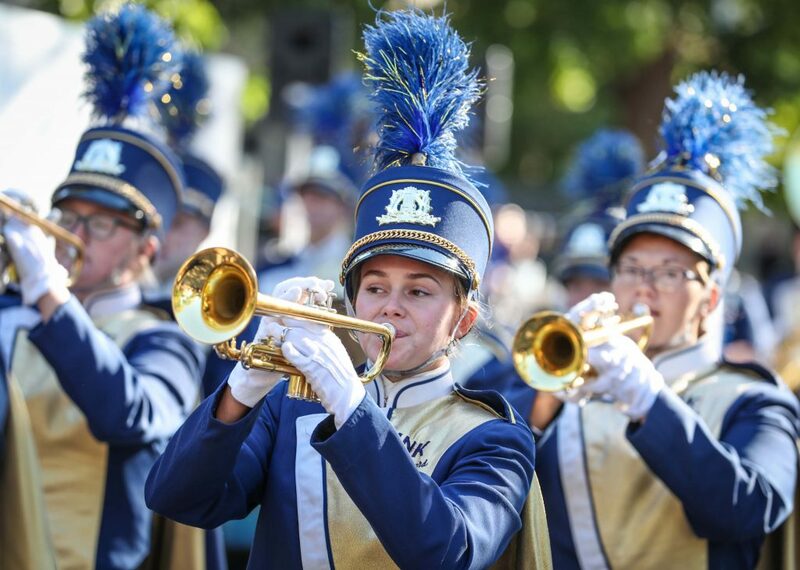 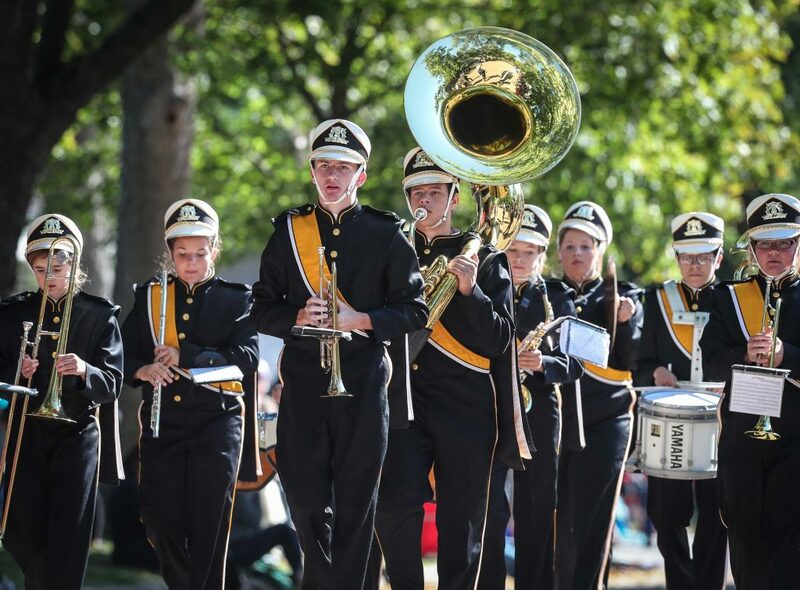 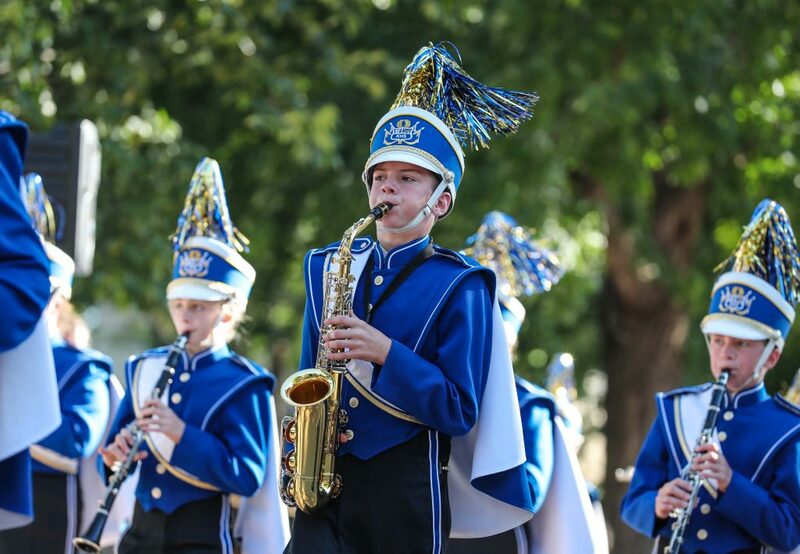 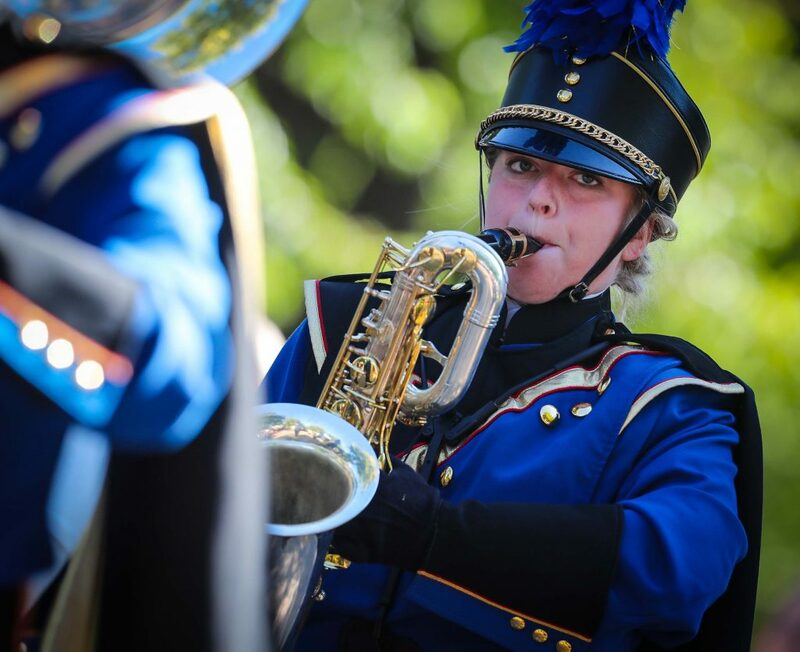 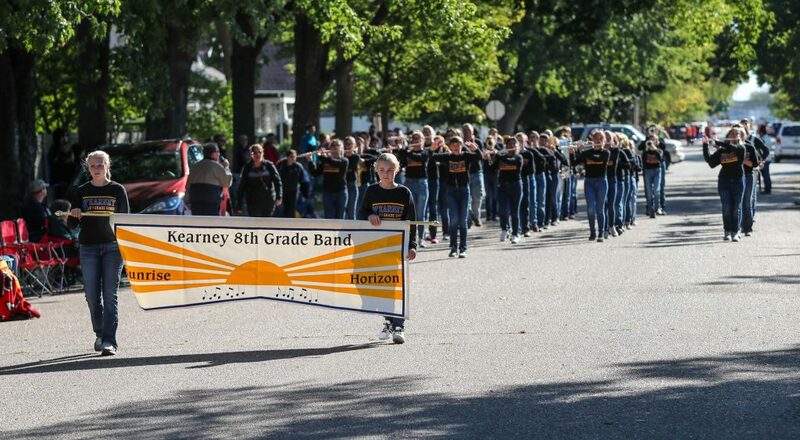 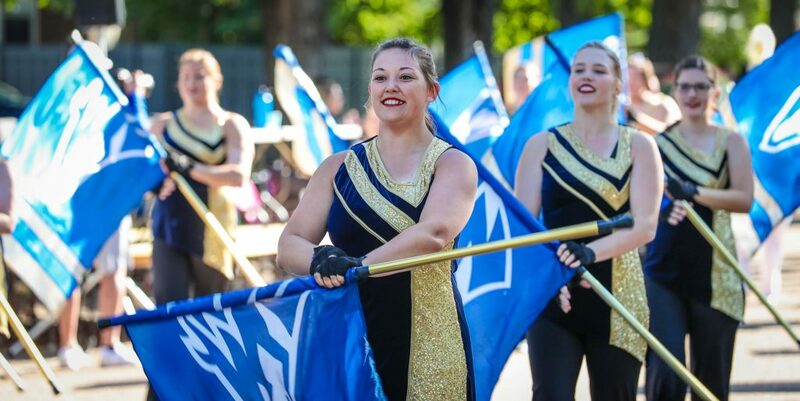 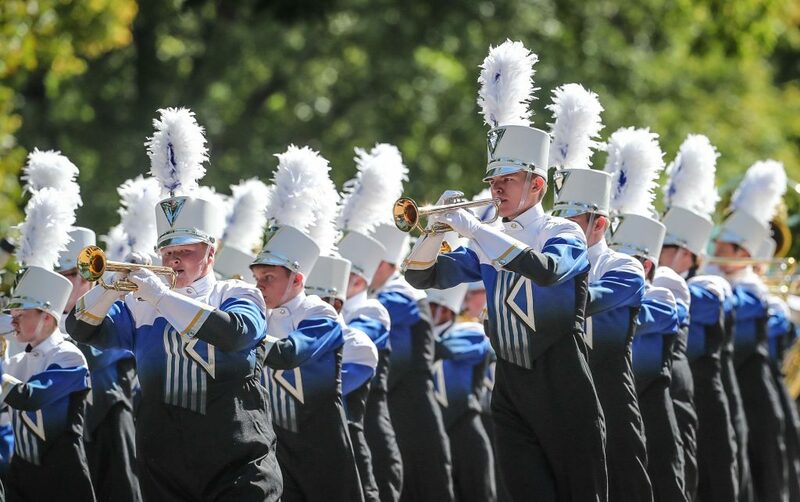 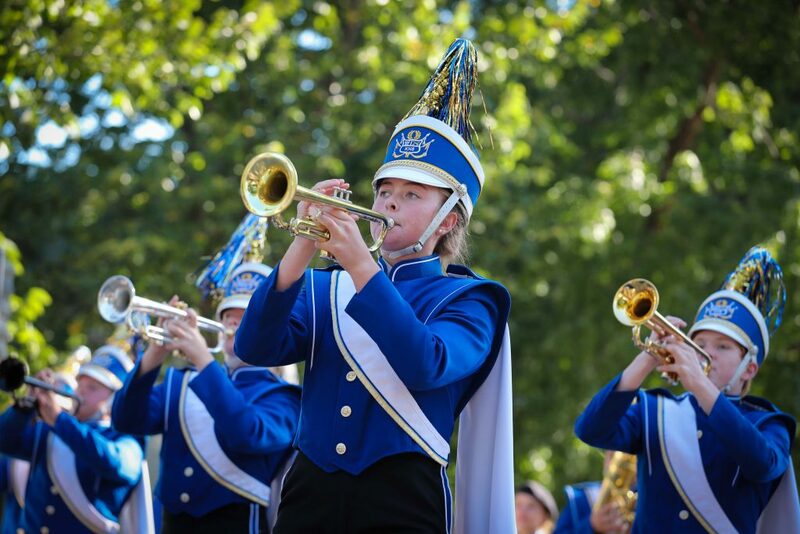 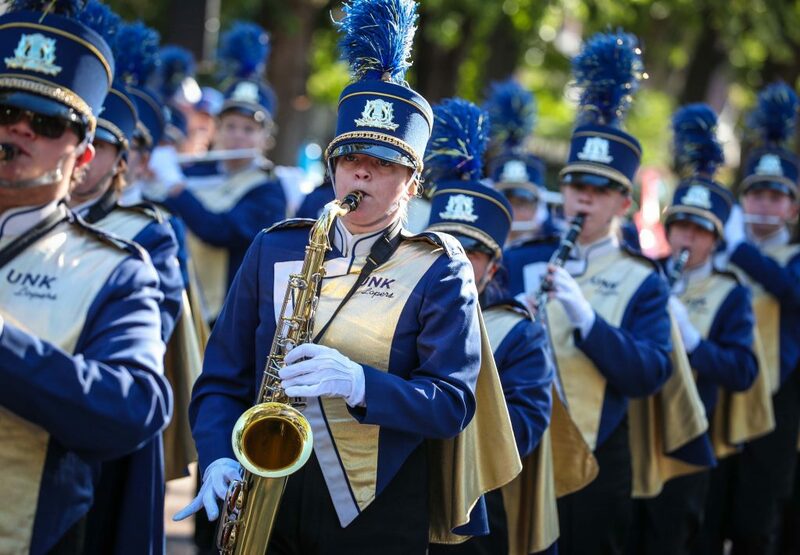 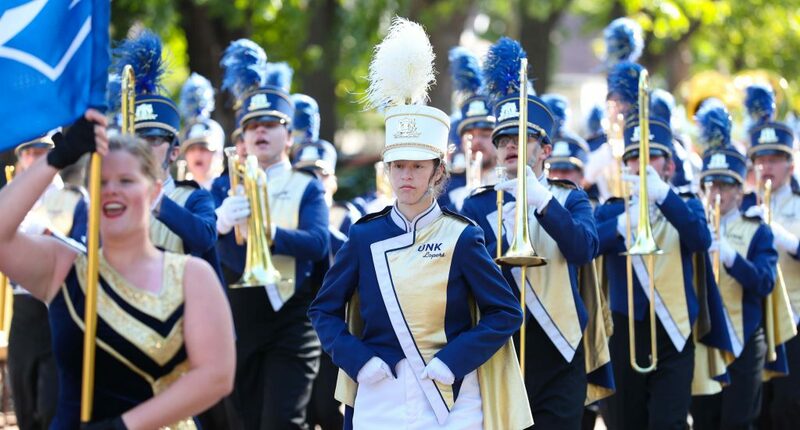 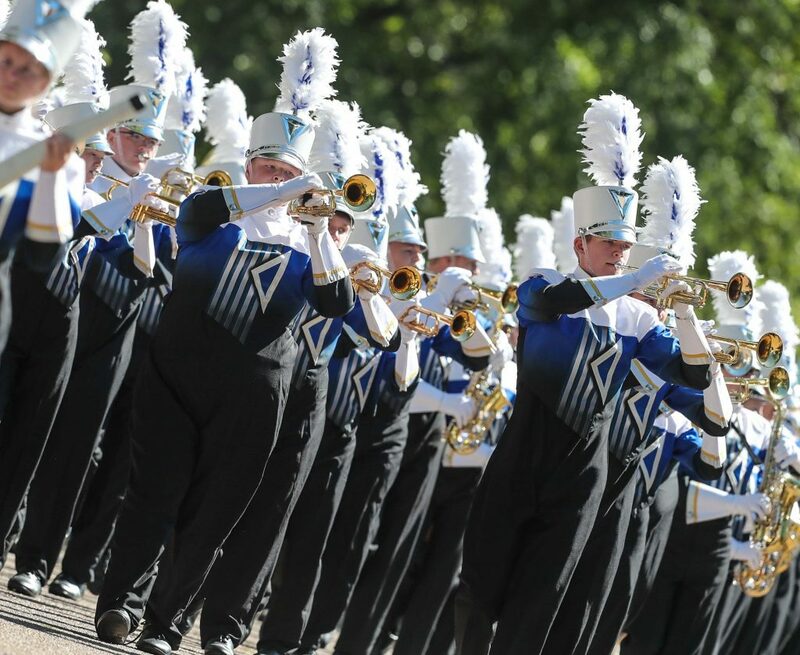 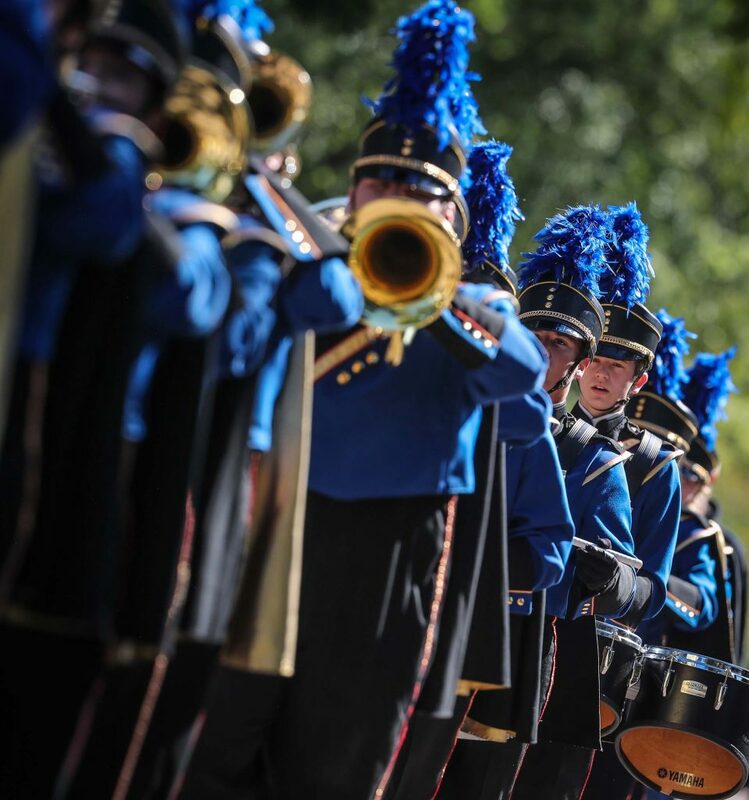 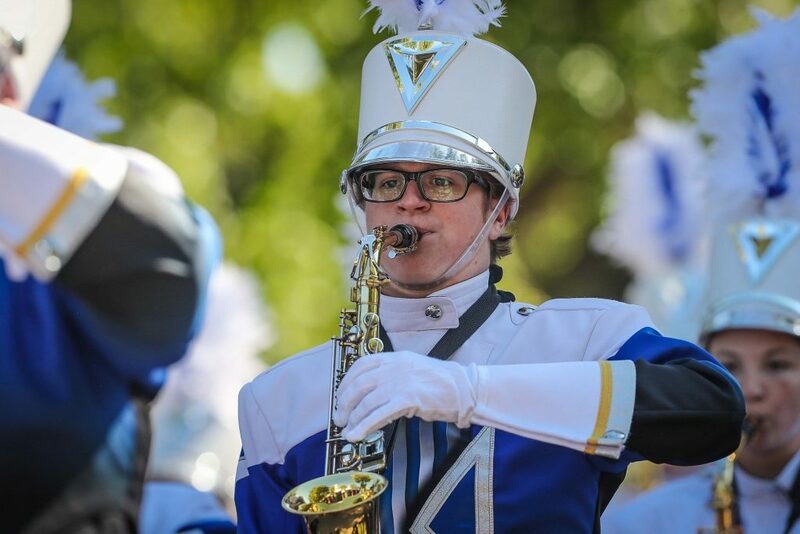 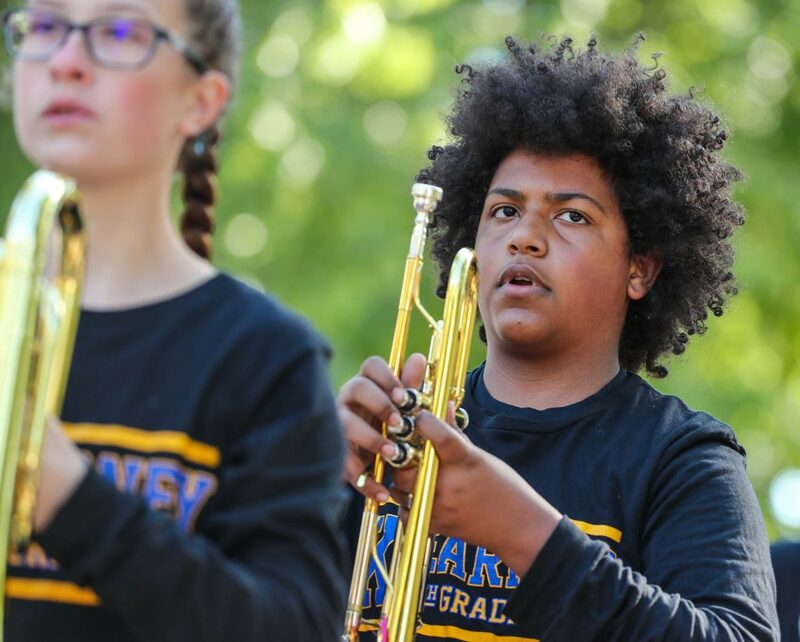 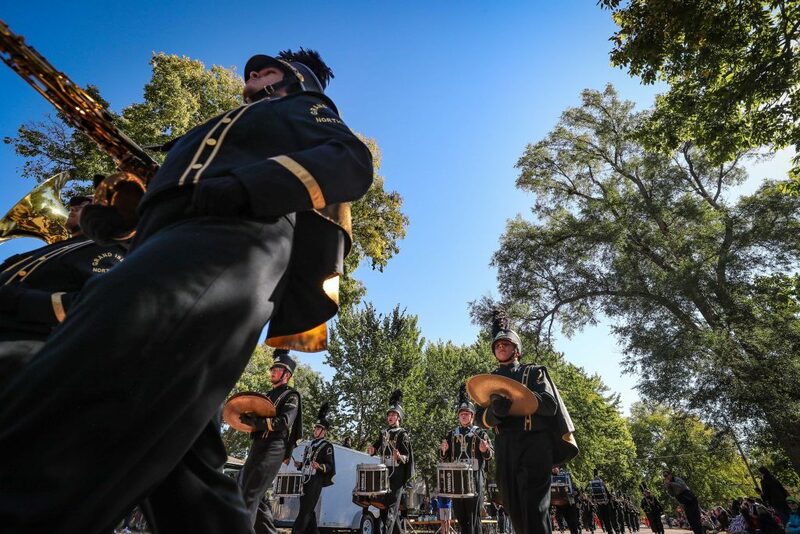 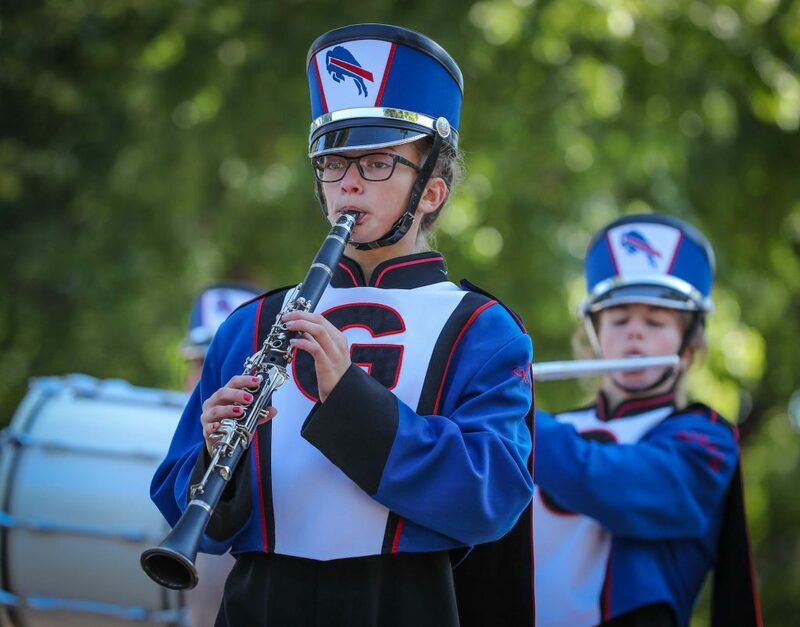 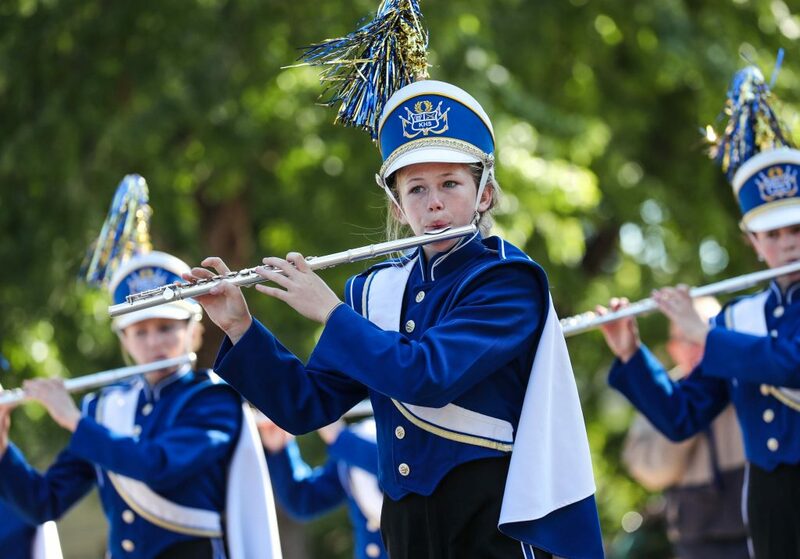 KEARNEY – Kearney High School won Class AA, the Sweepstakes Trophy and was named the top band overall at Saturday’s 2018 UNK Band Day Parade competition. 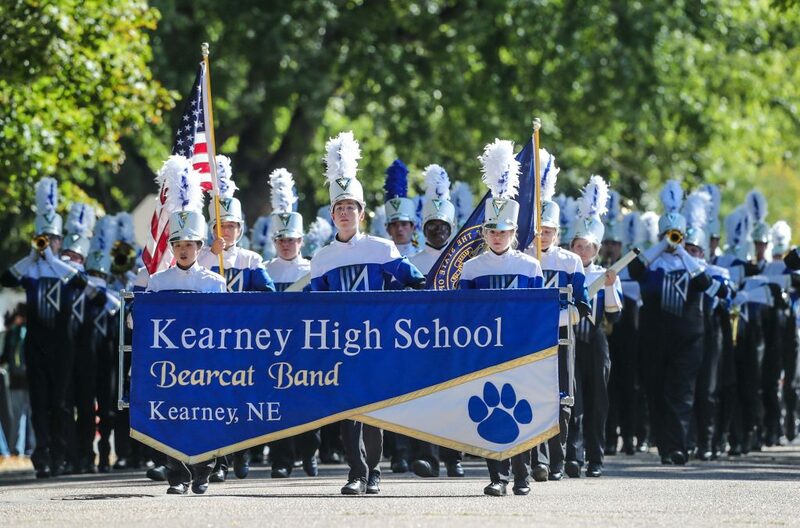 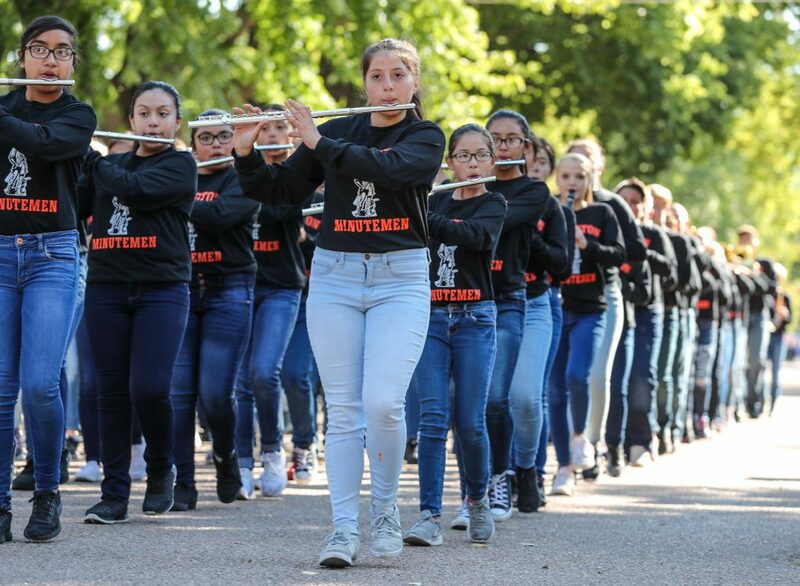 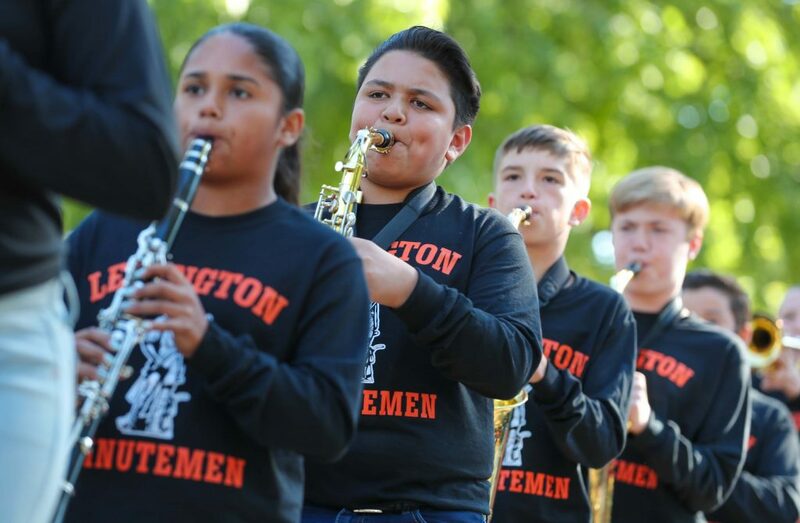 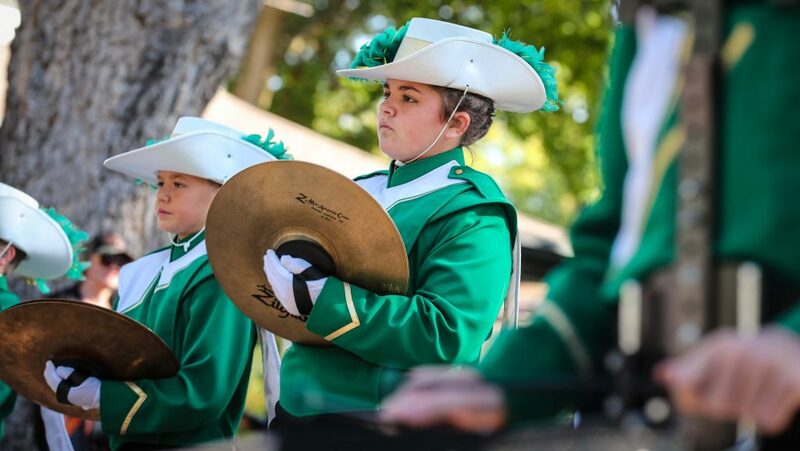 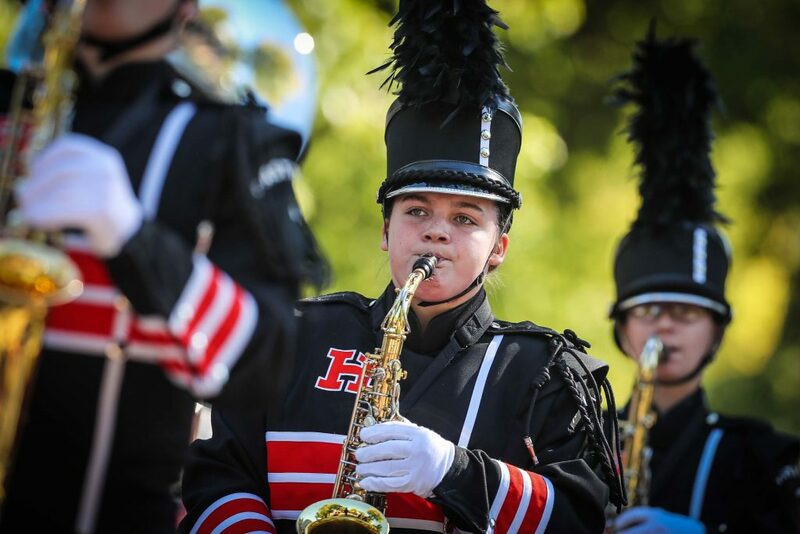 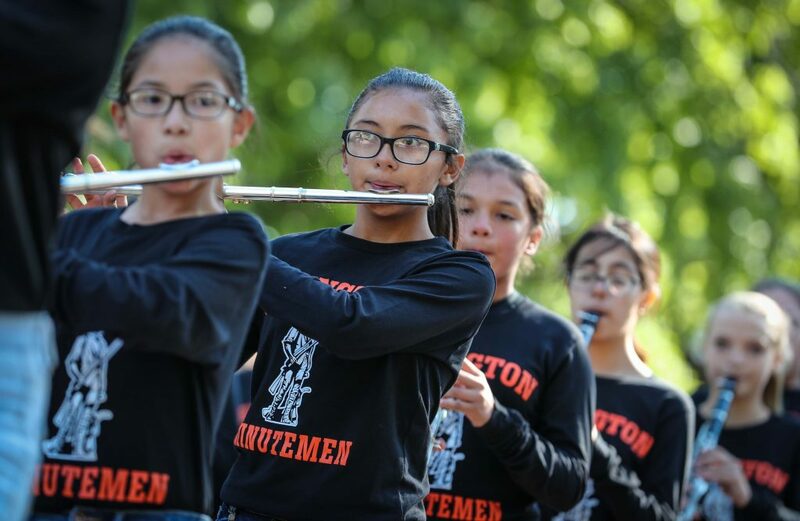 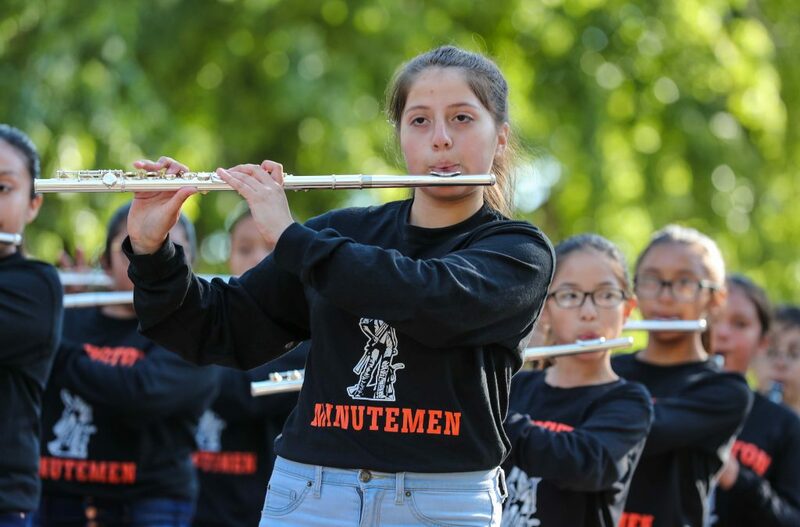 The KHS Bearcat Band swept all top honors, as it also was recognized as the outstanding drum line and outstanding color guard winner. 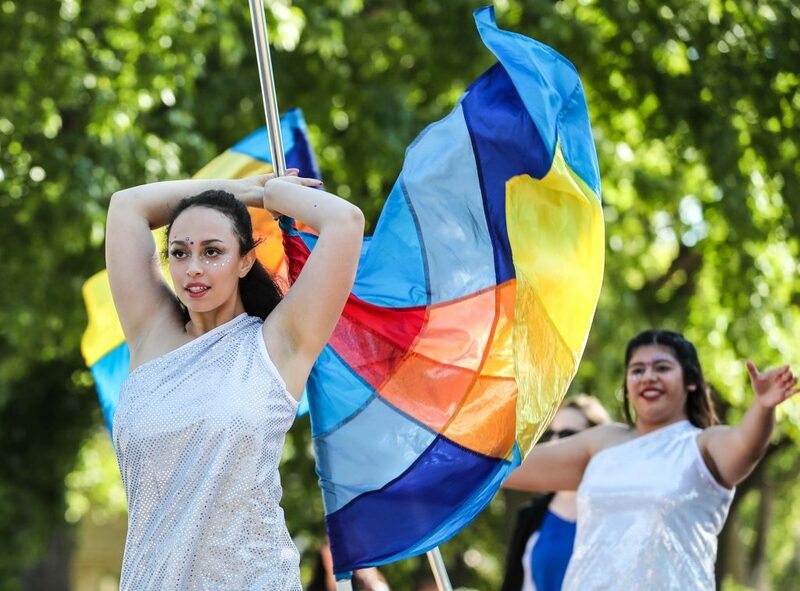 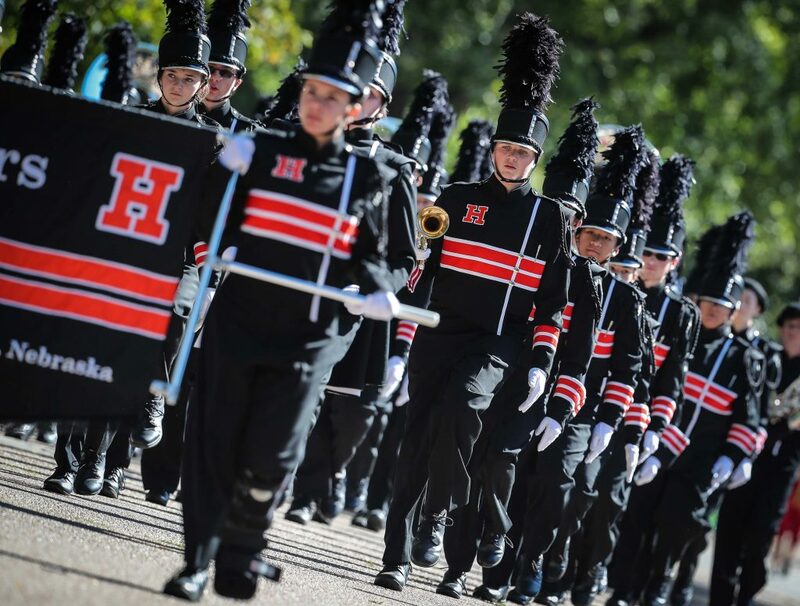 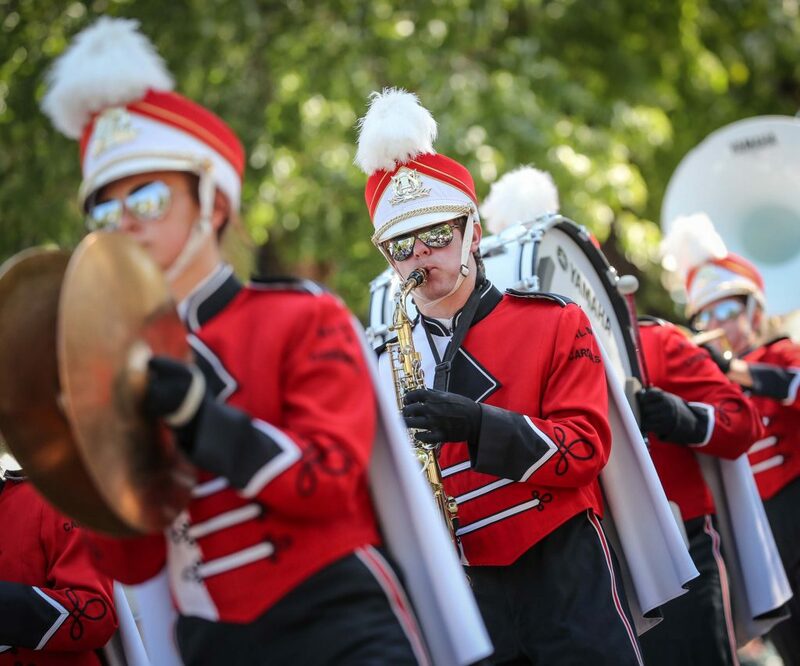 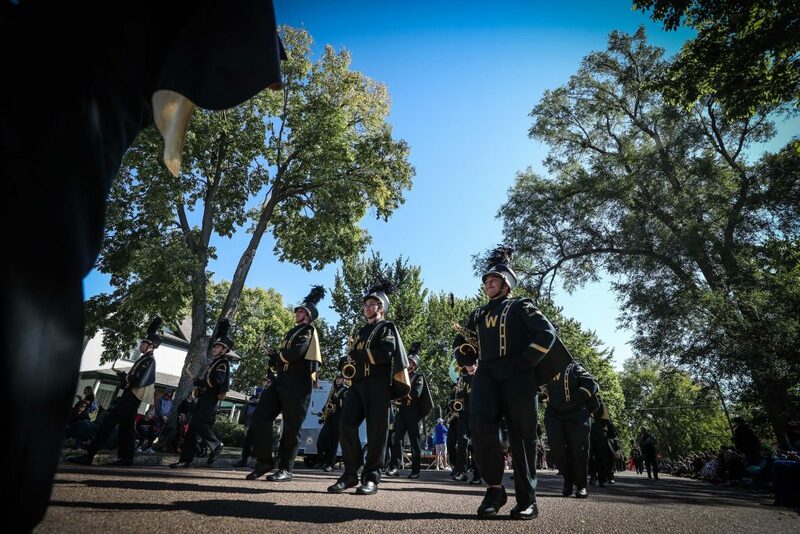 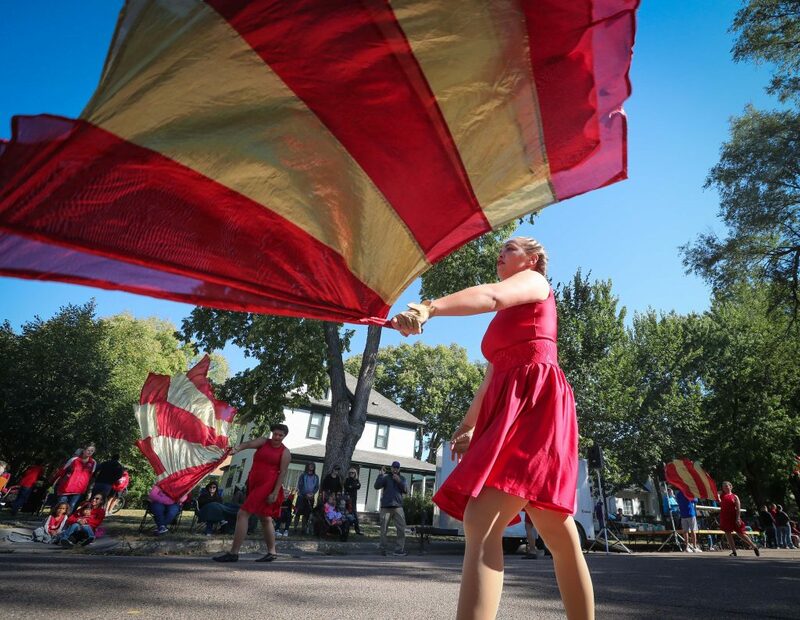 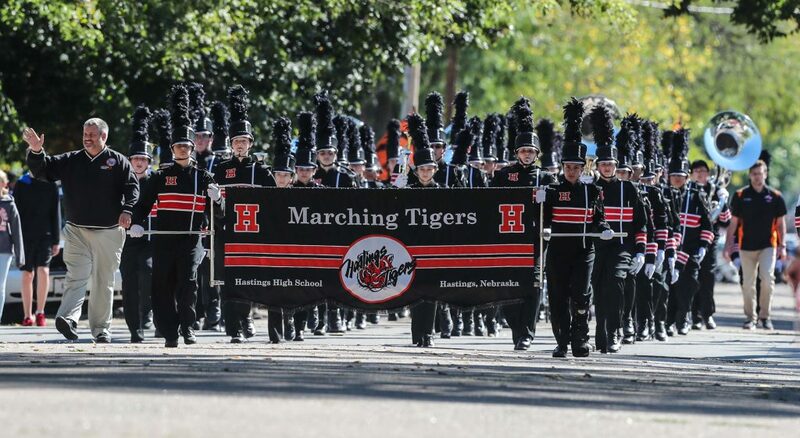 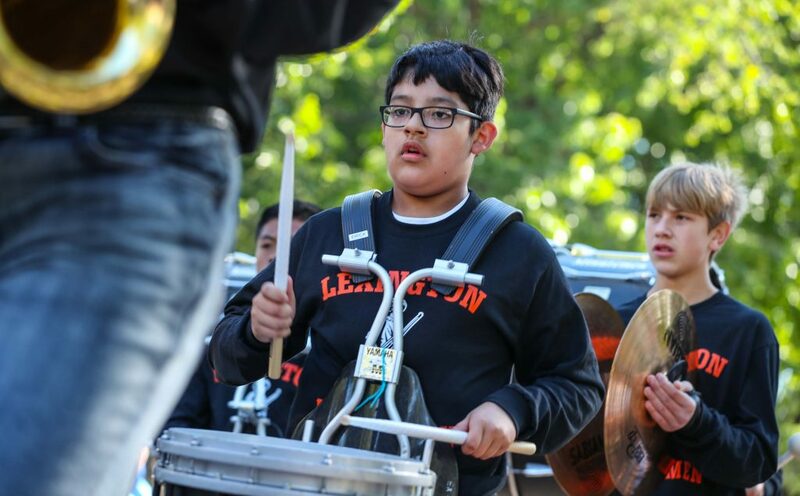 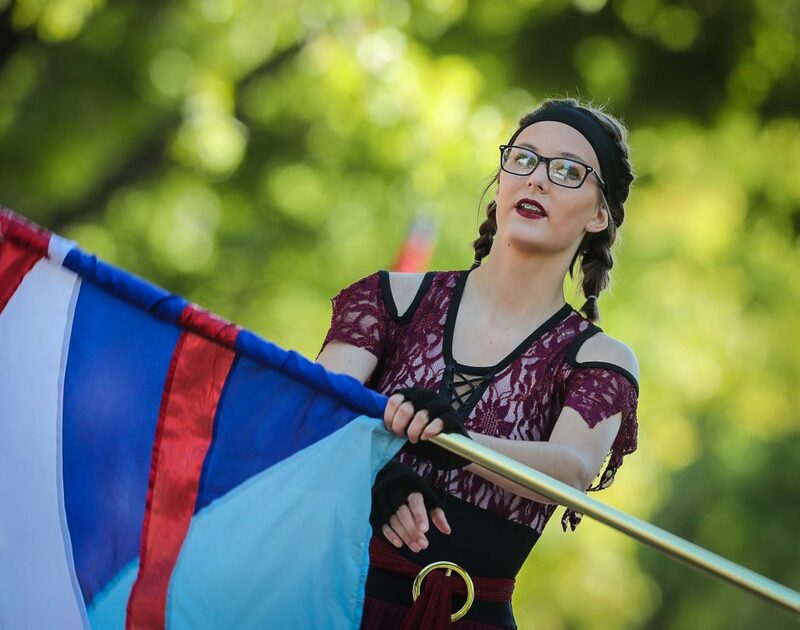 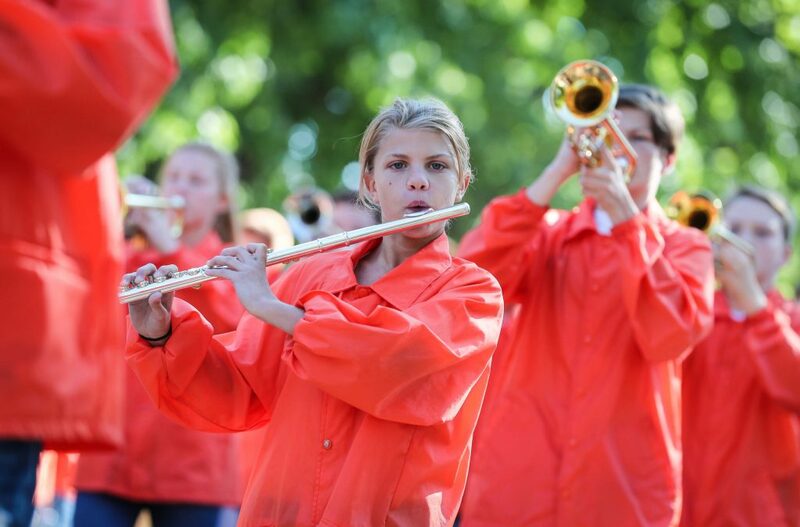 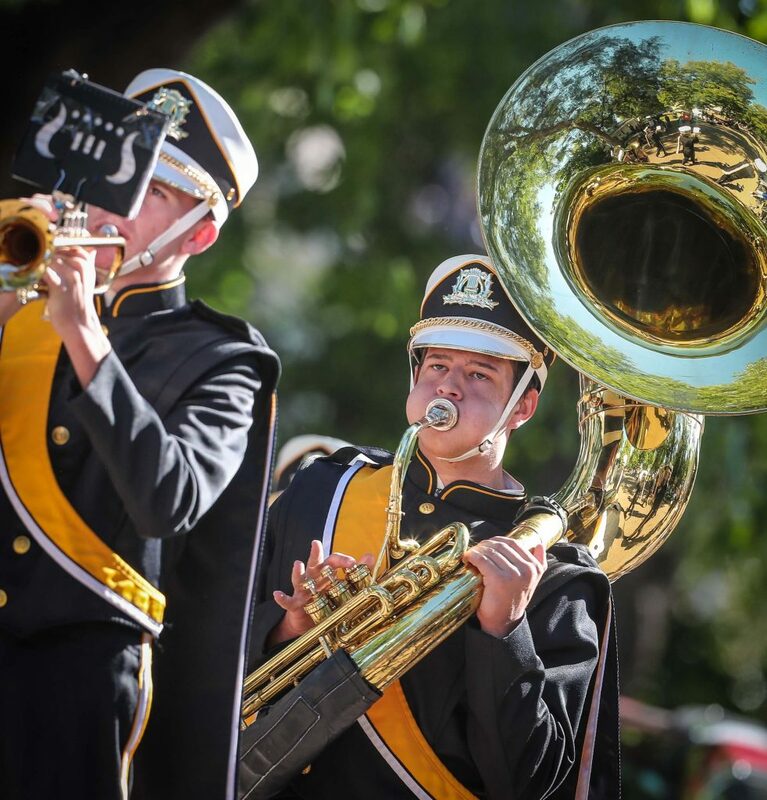 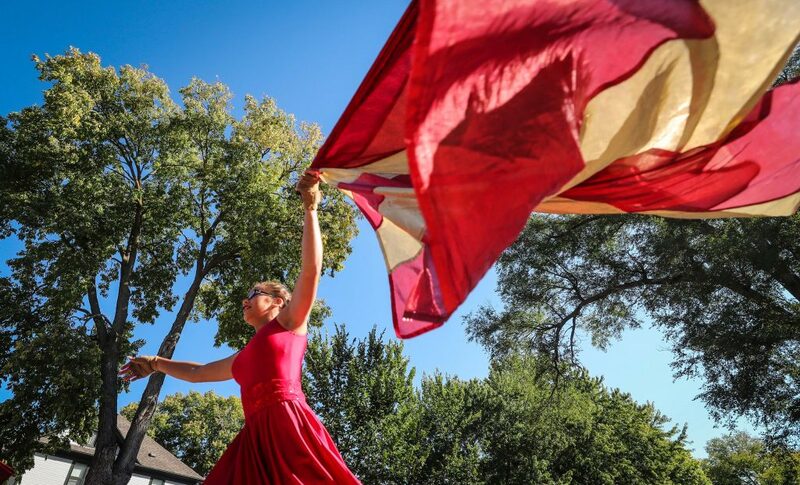 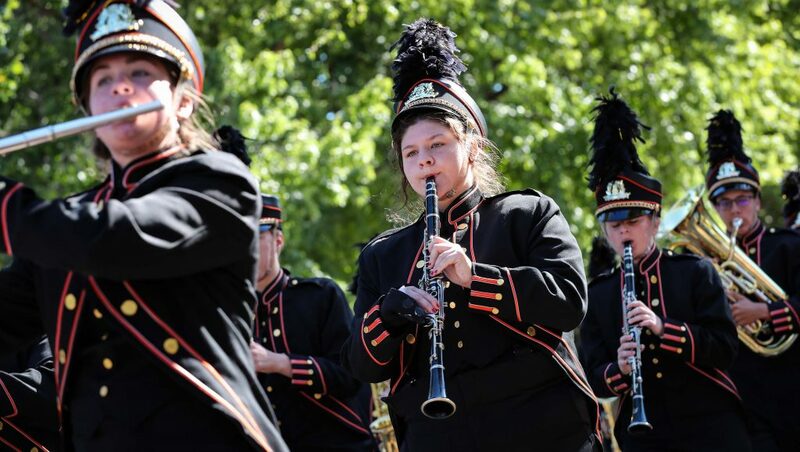 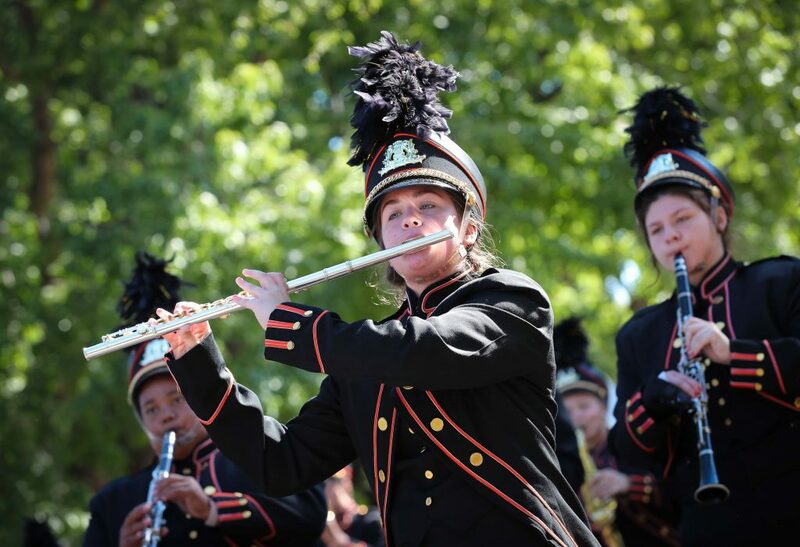 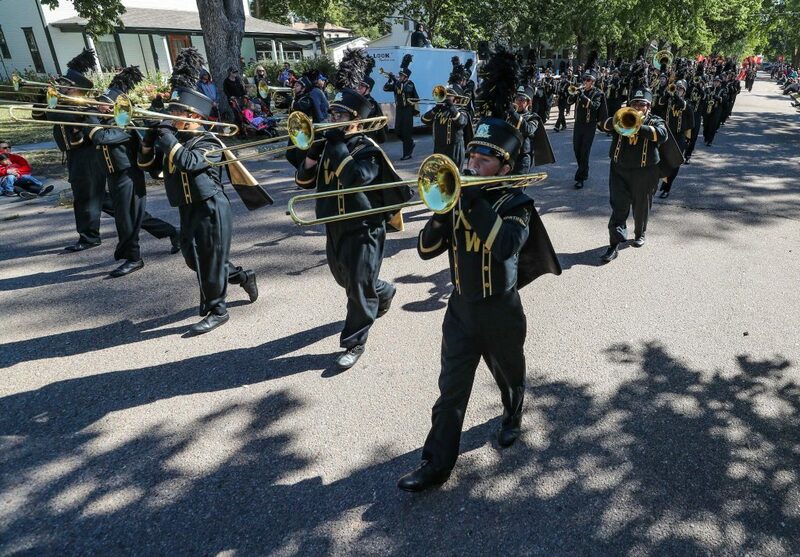 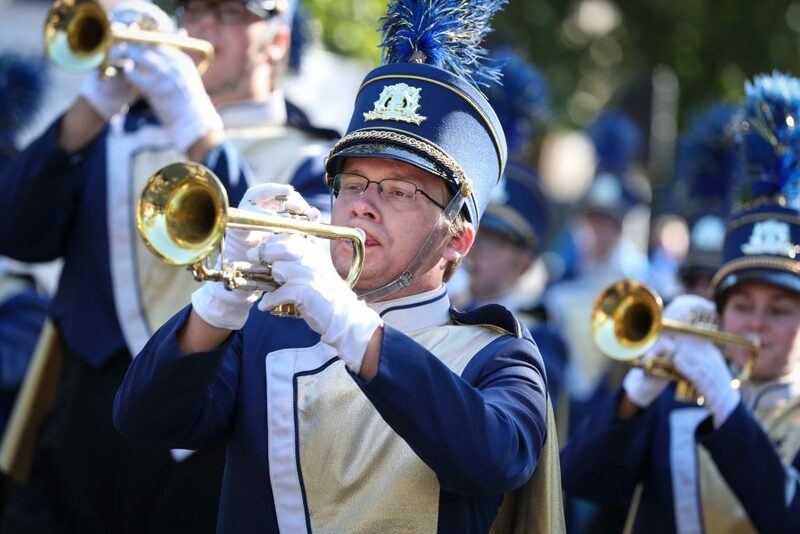 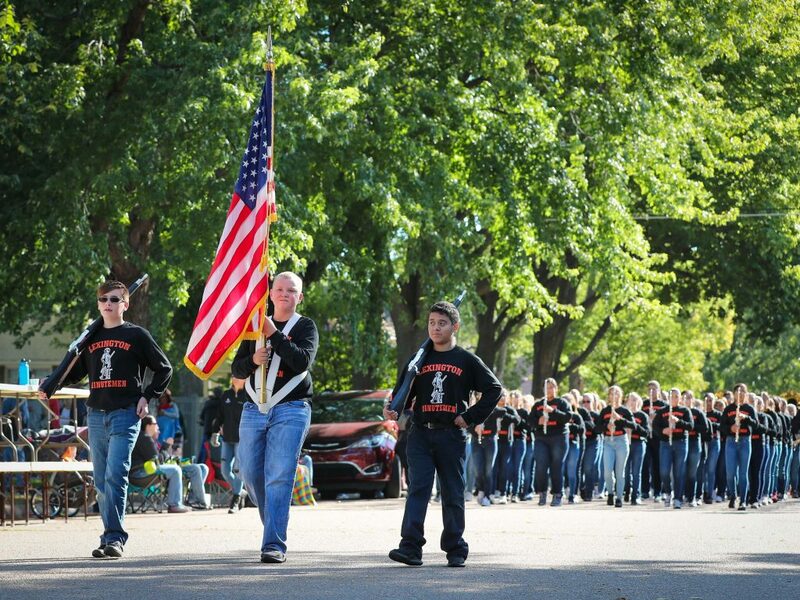 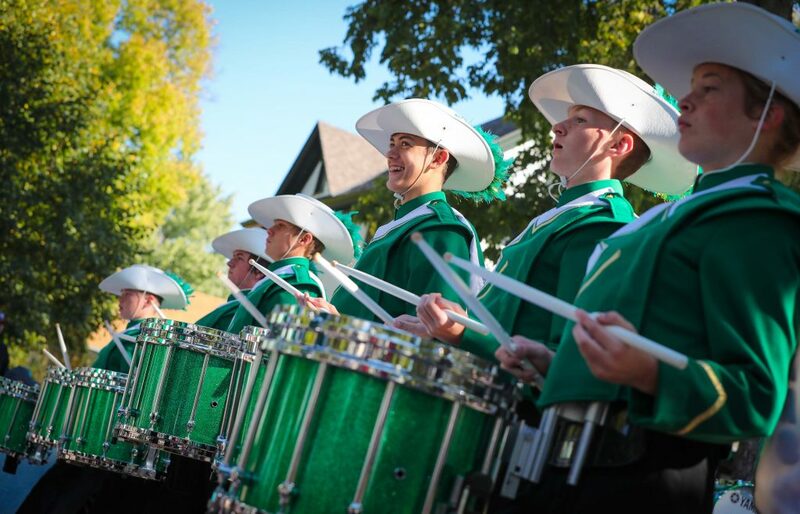 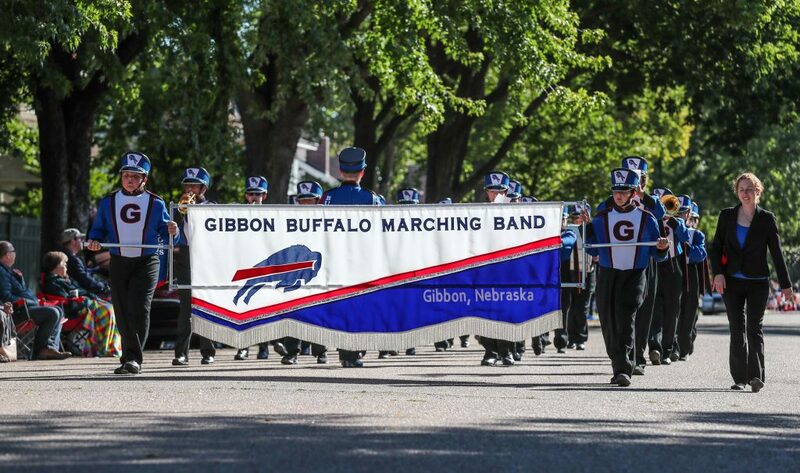 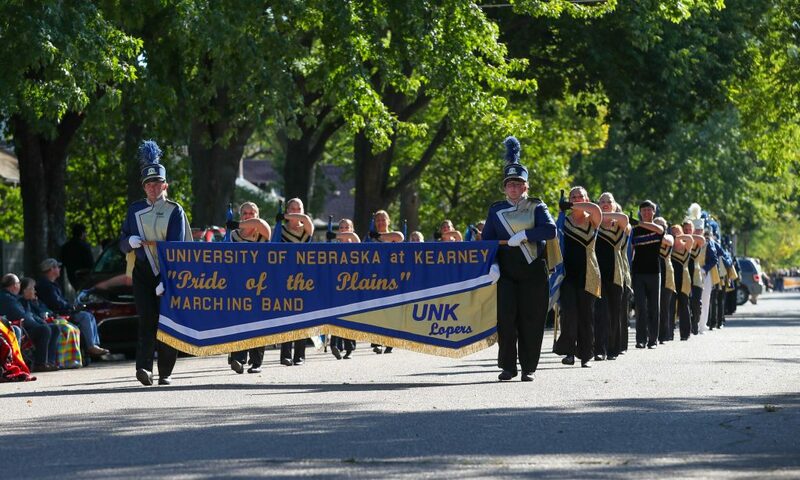 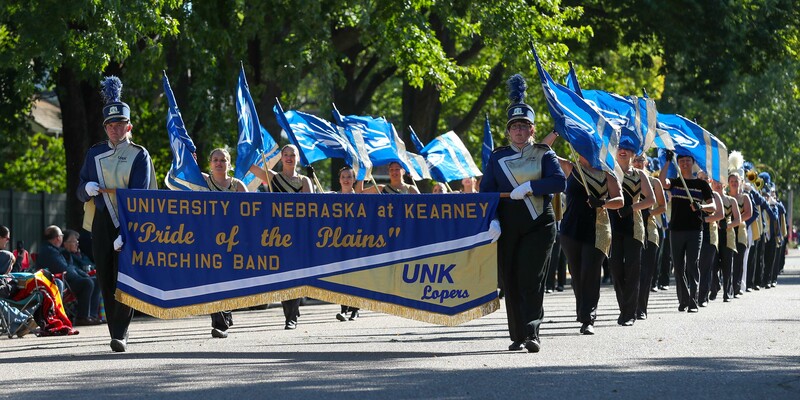 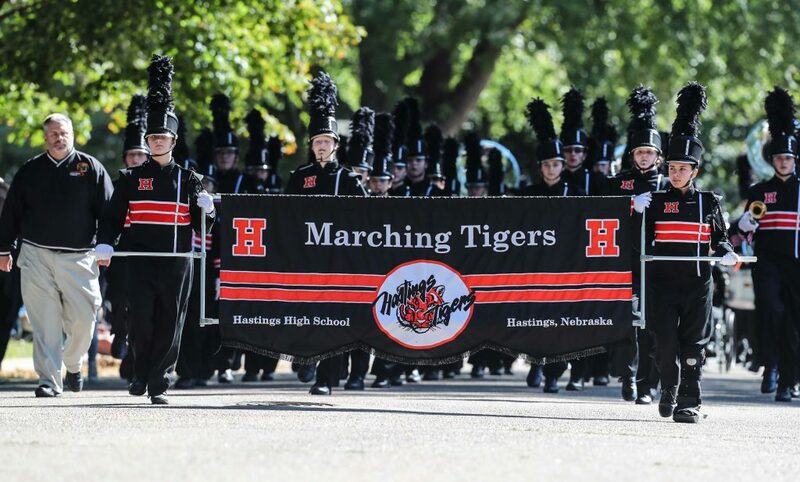 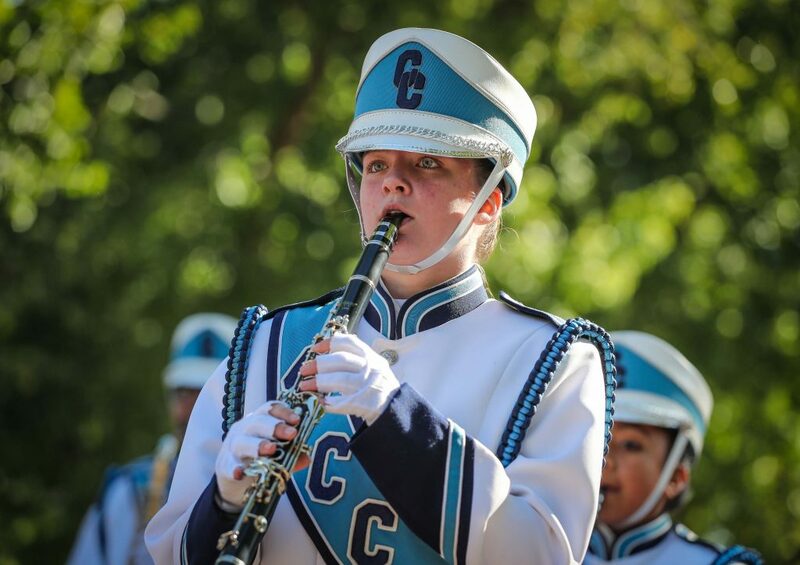 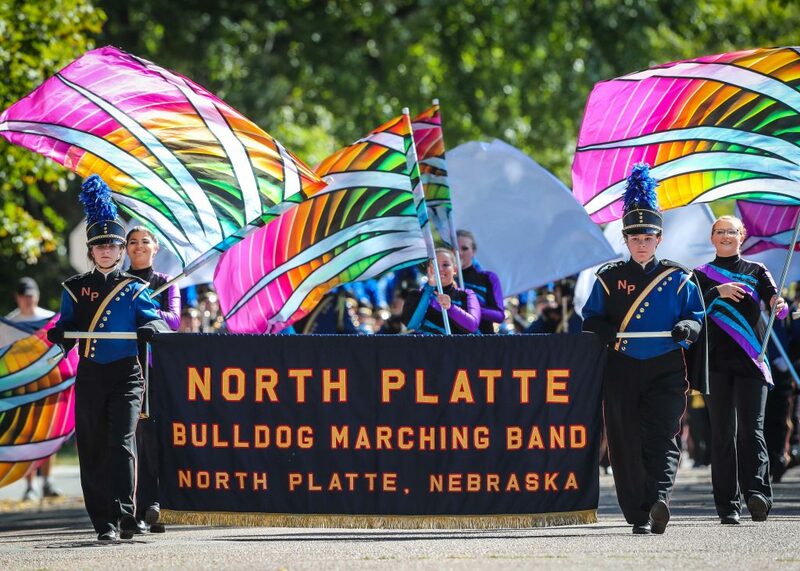 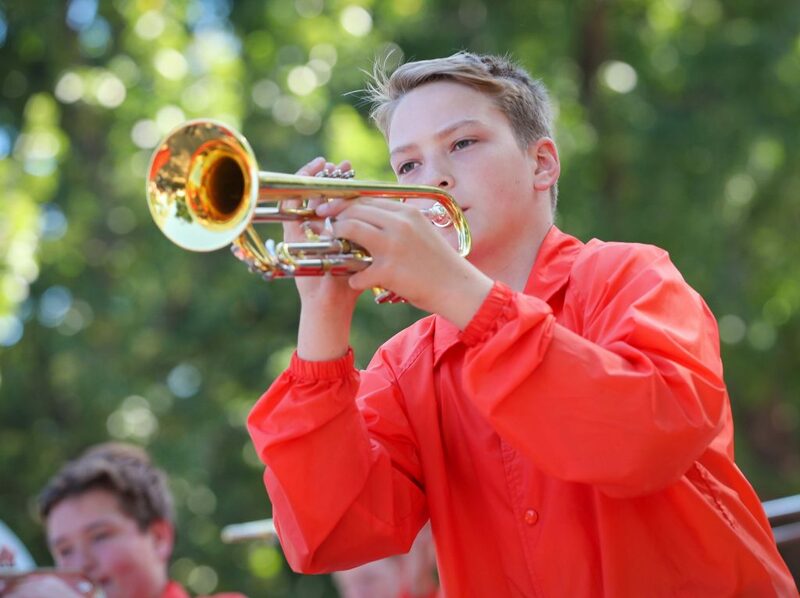 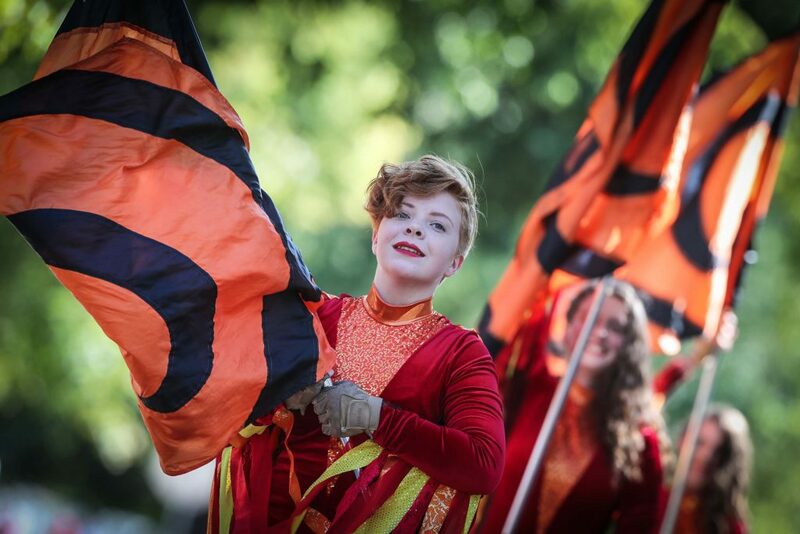 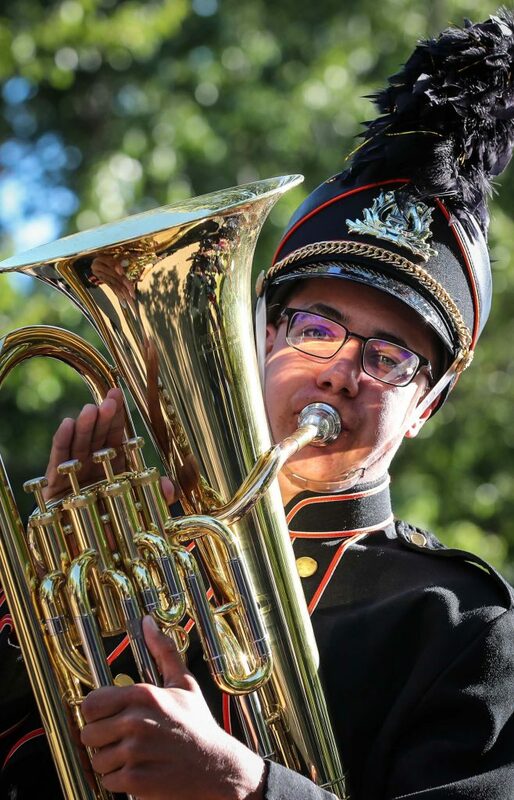 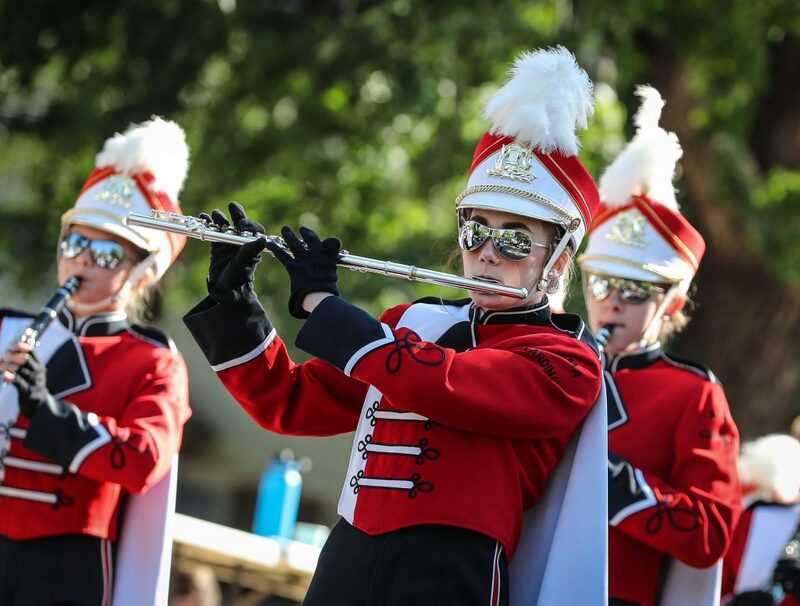 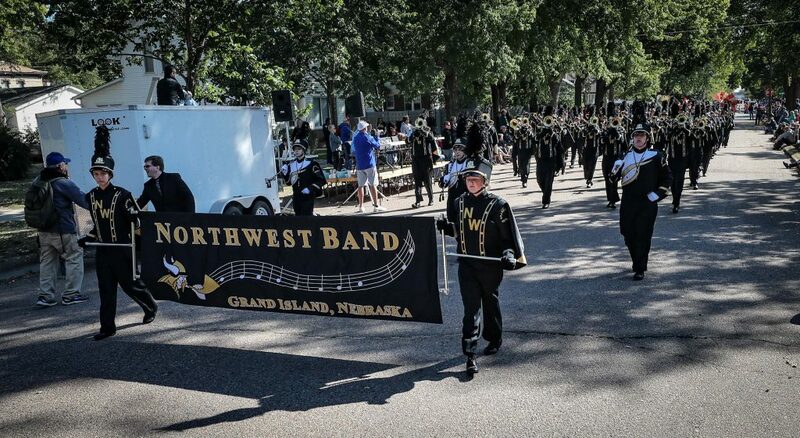 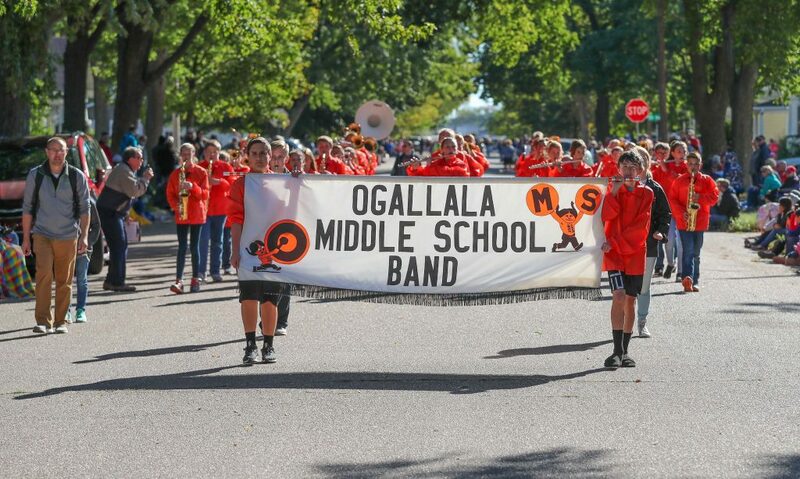 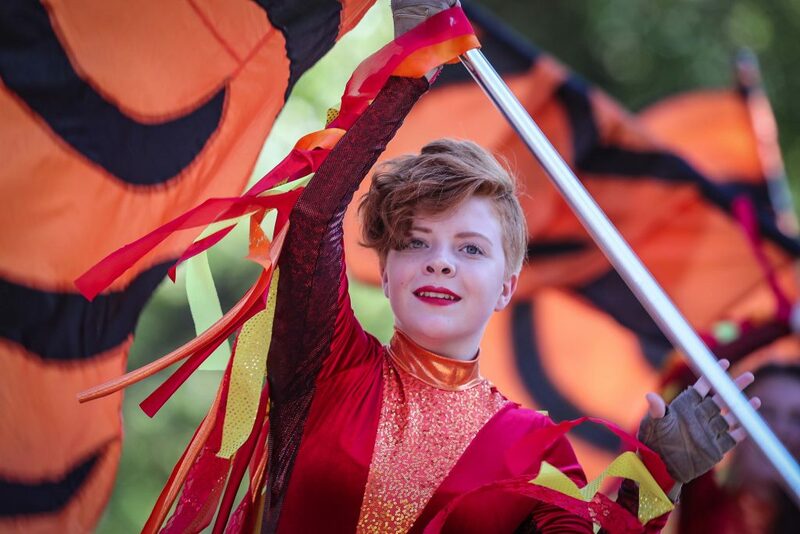 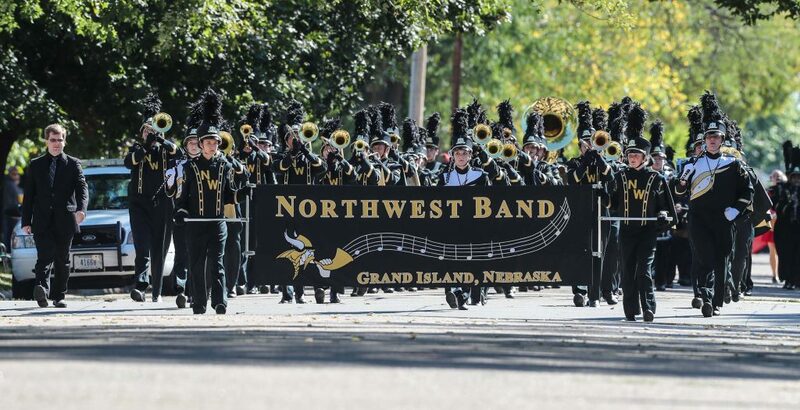 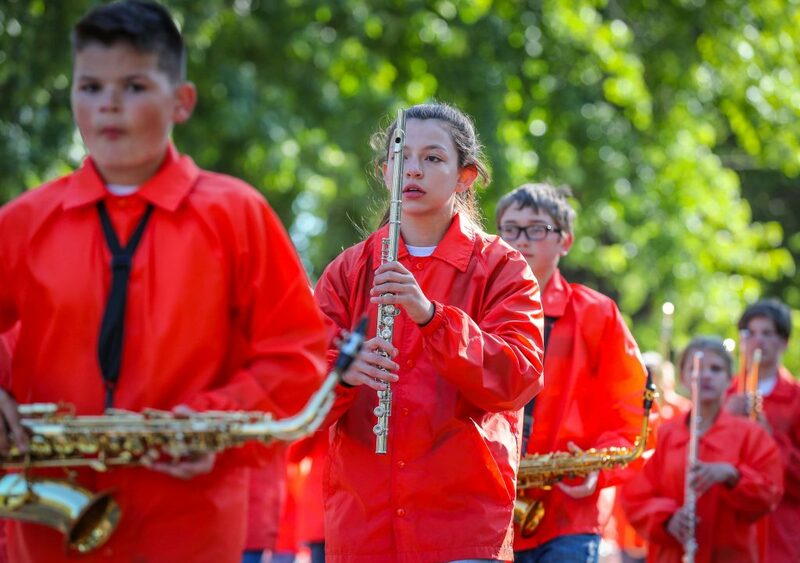 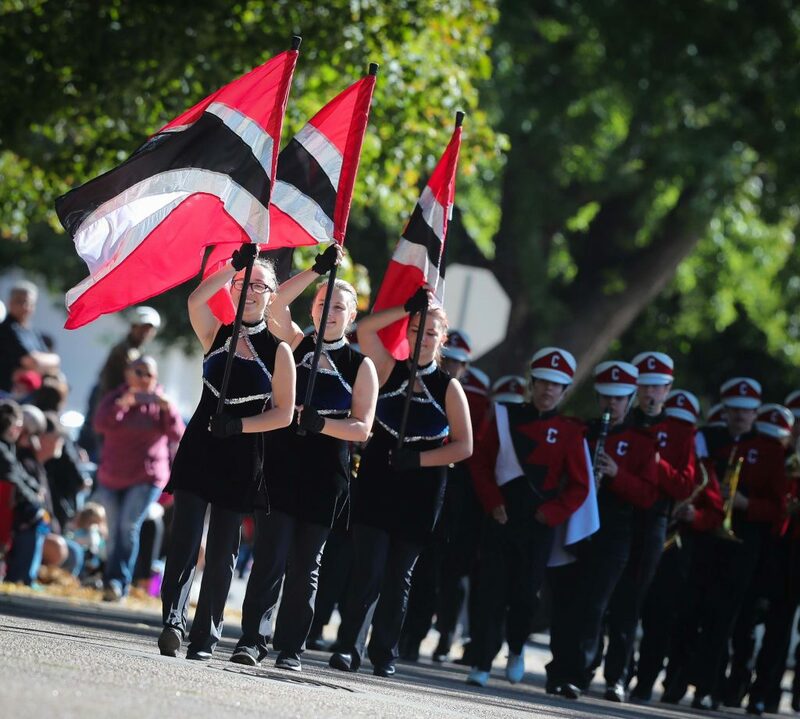 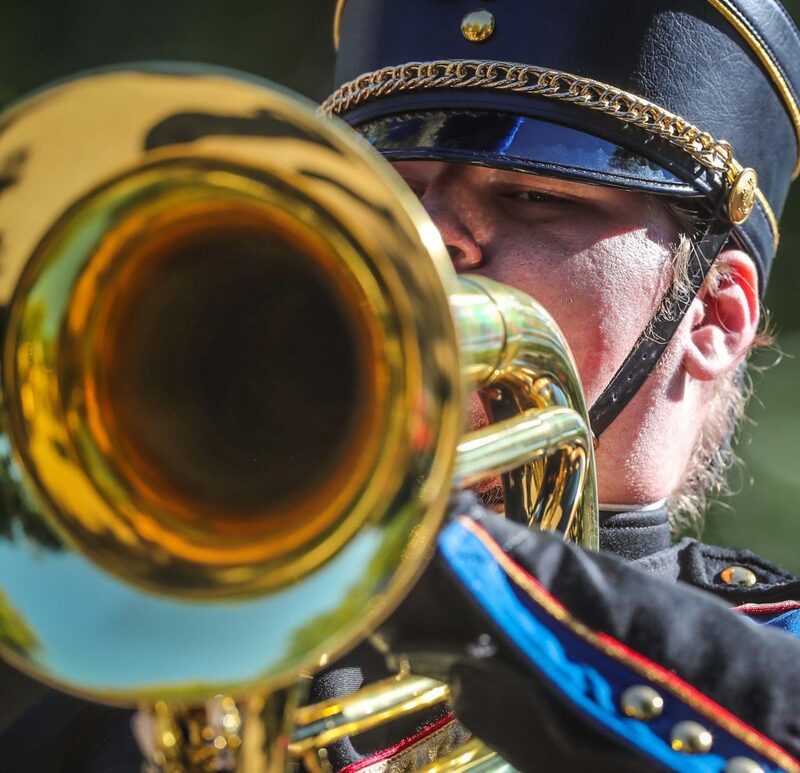 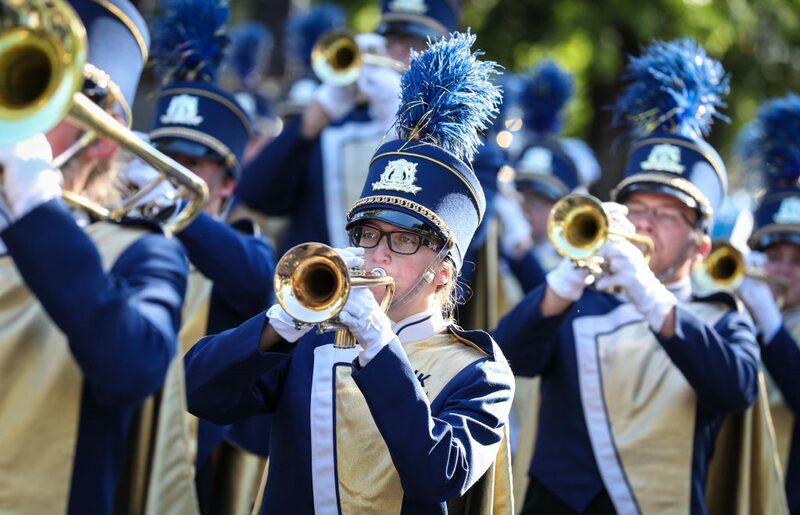 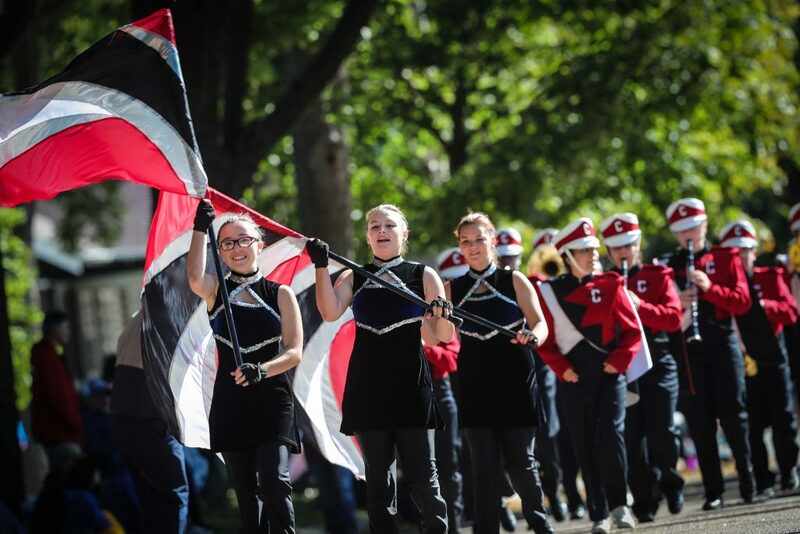 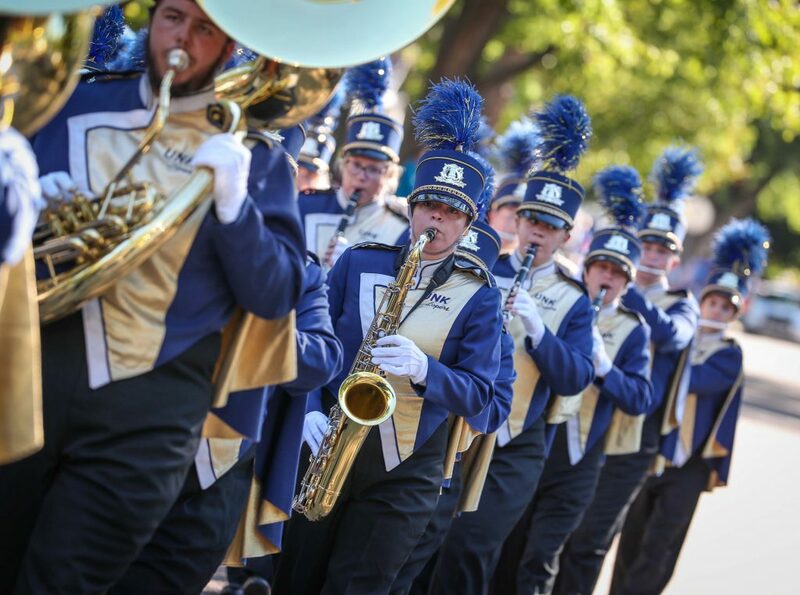 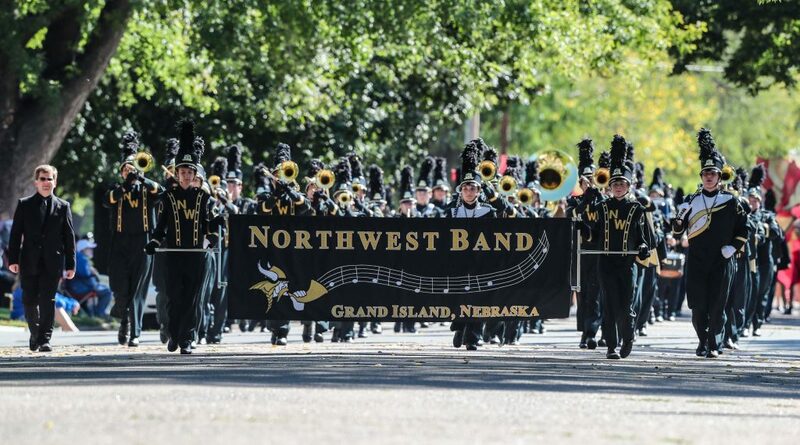 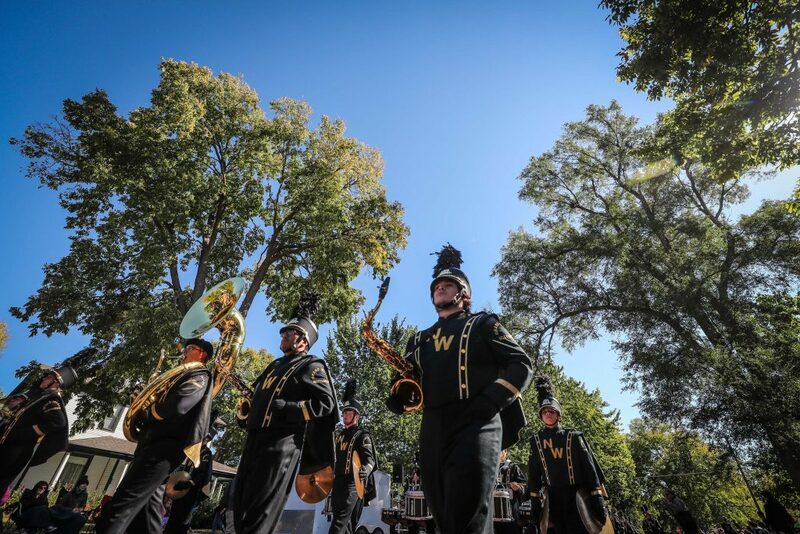 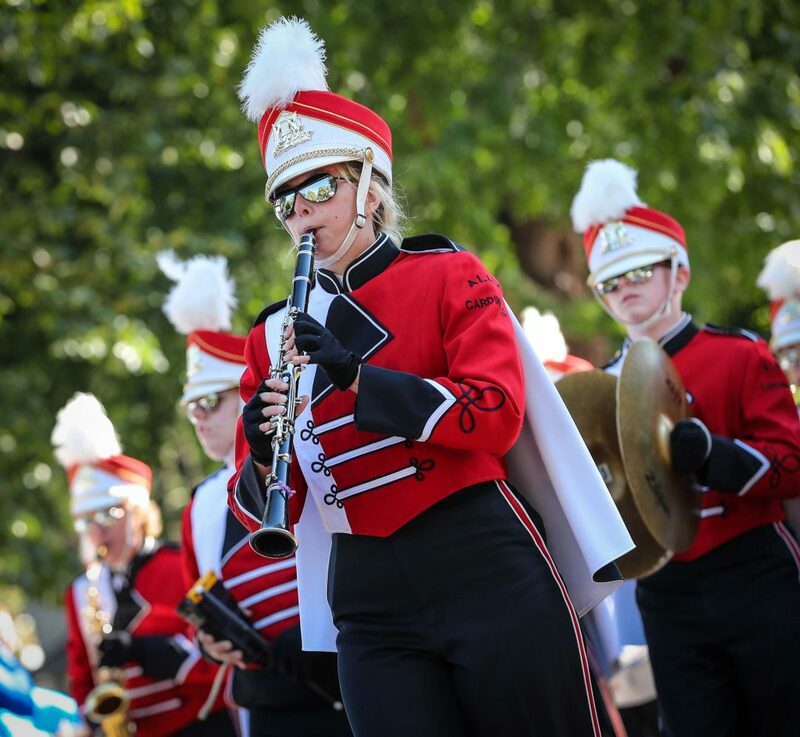 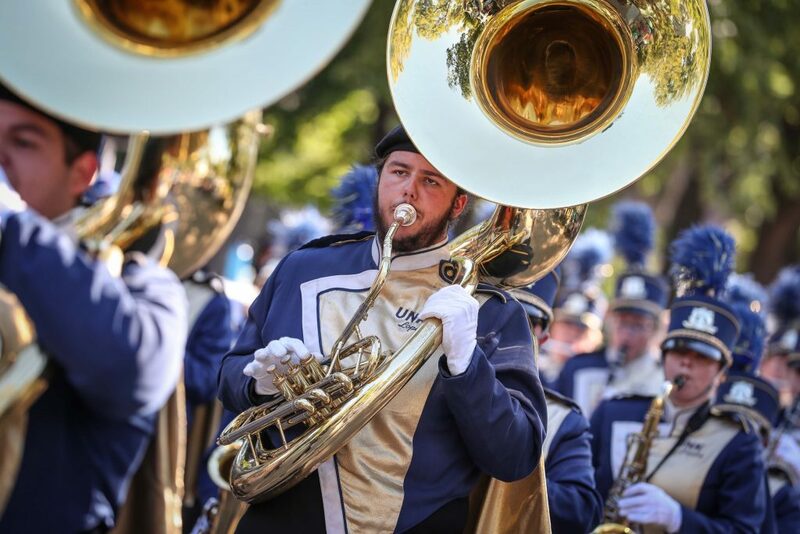 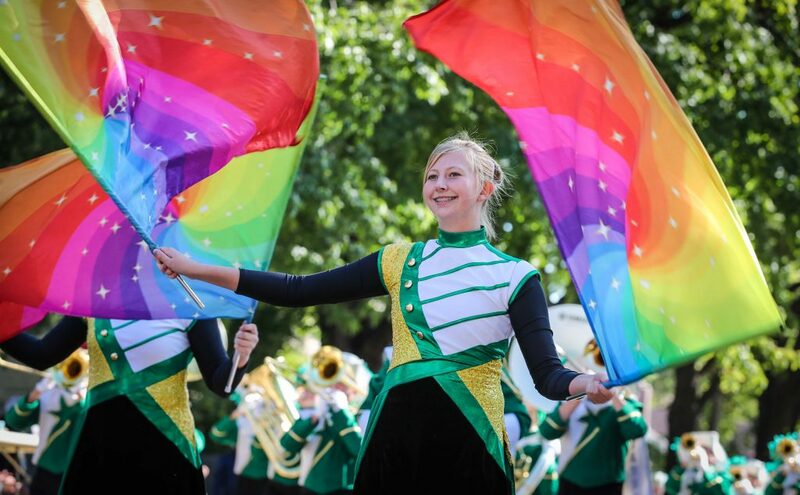 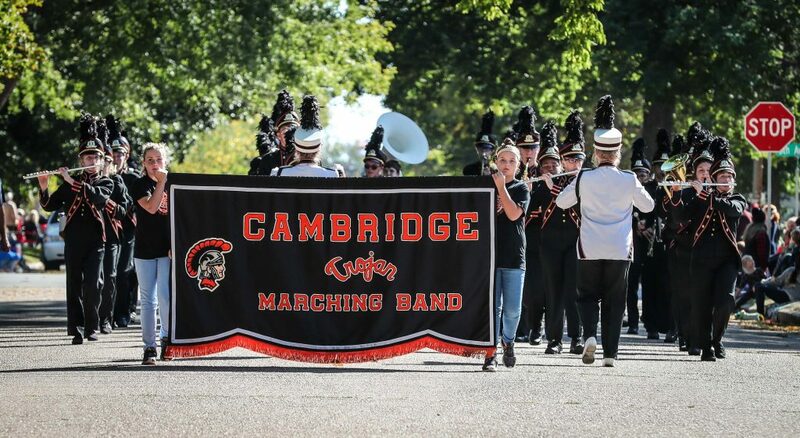 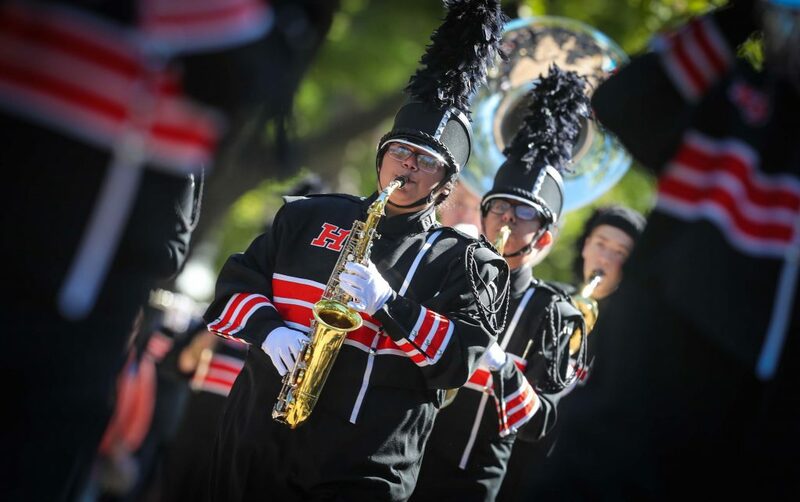 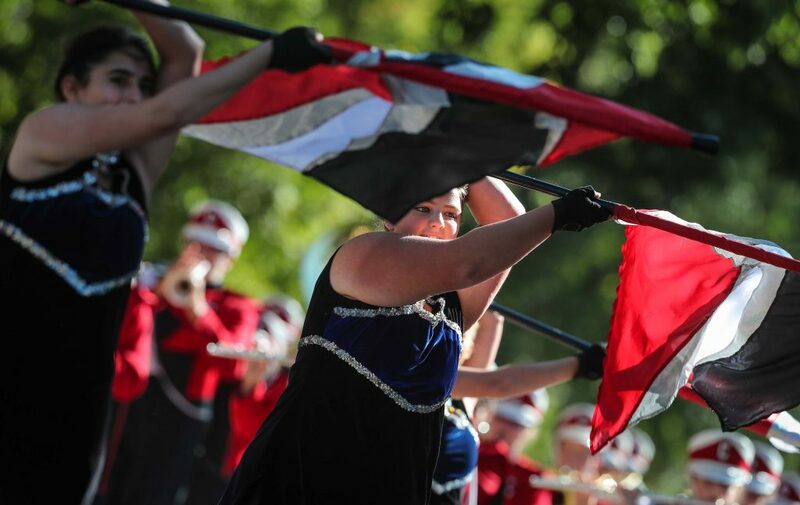 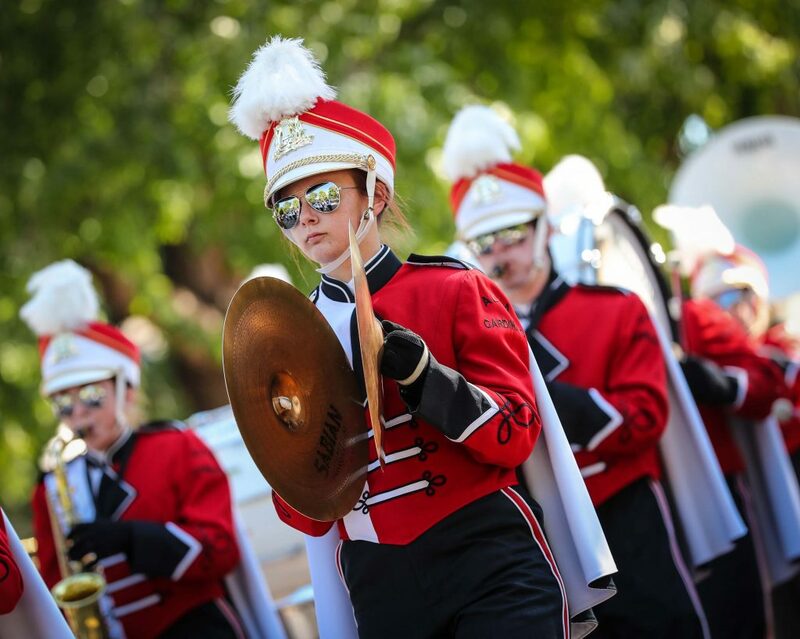 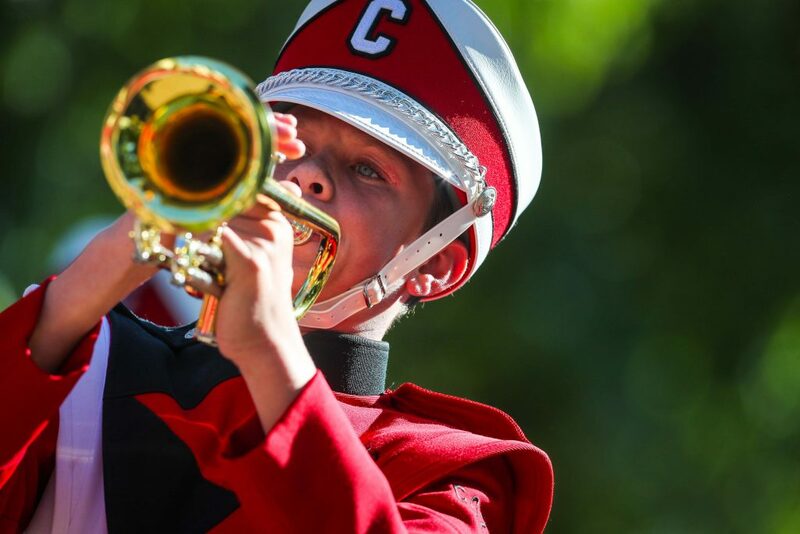 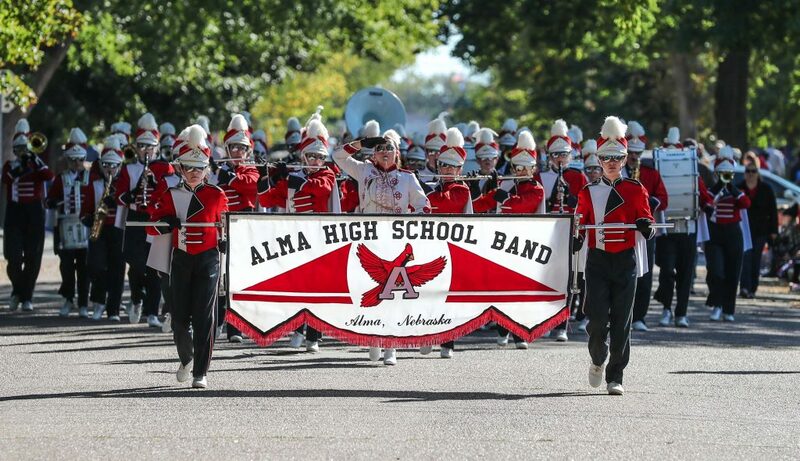 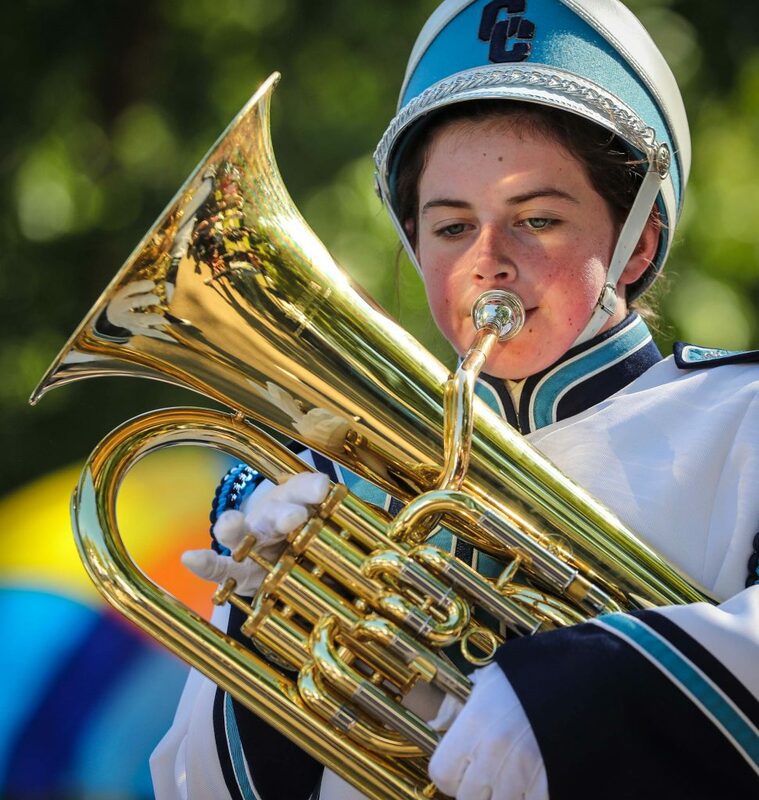 Eighteen Nebraska bands marched in the University of Nebraska at Kearney parade, which celebrated its 60th year. 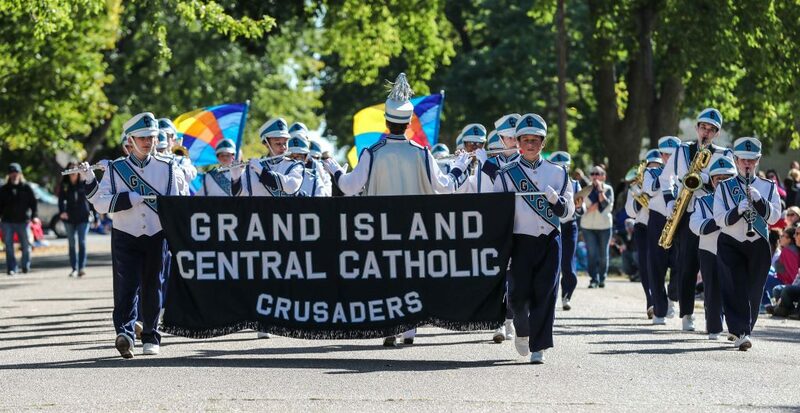 Grand Island Northwest won Class A. 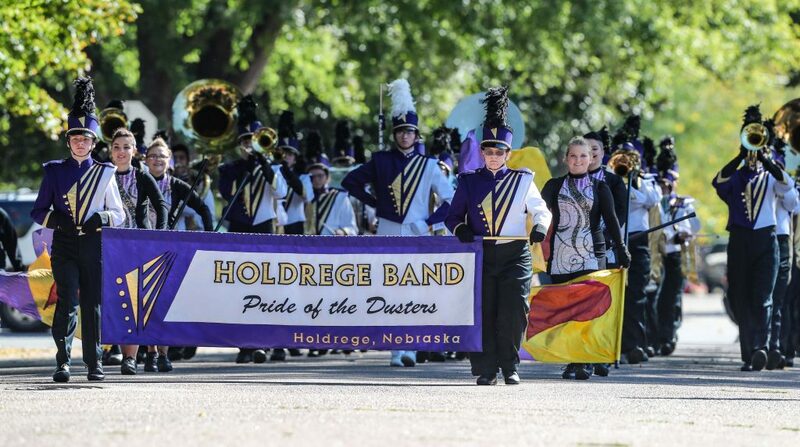 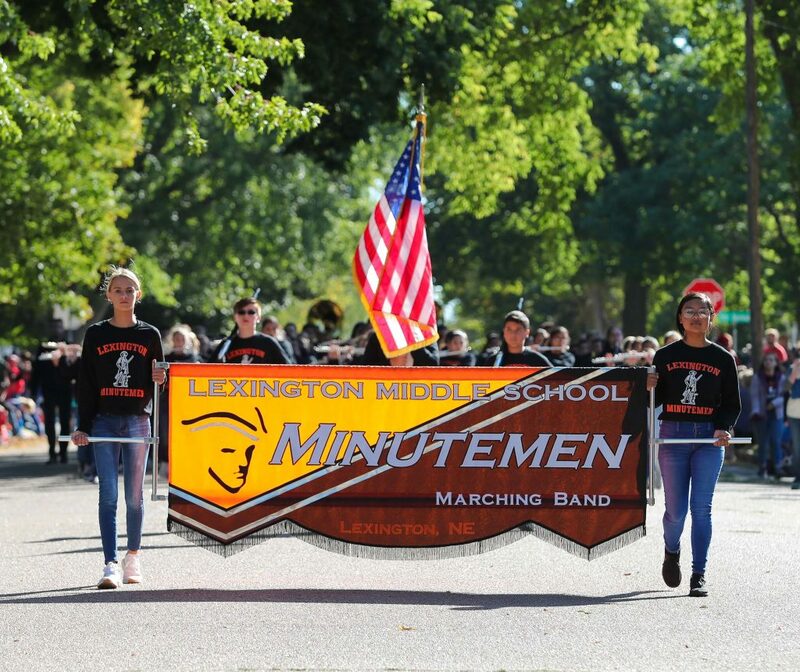 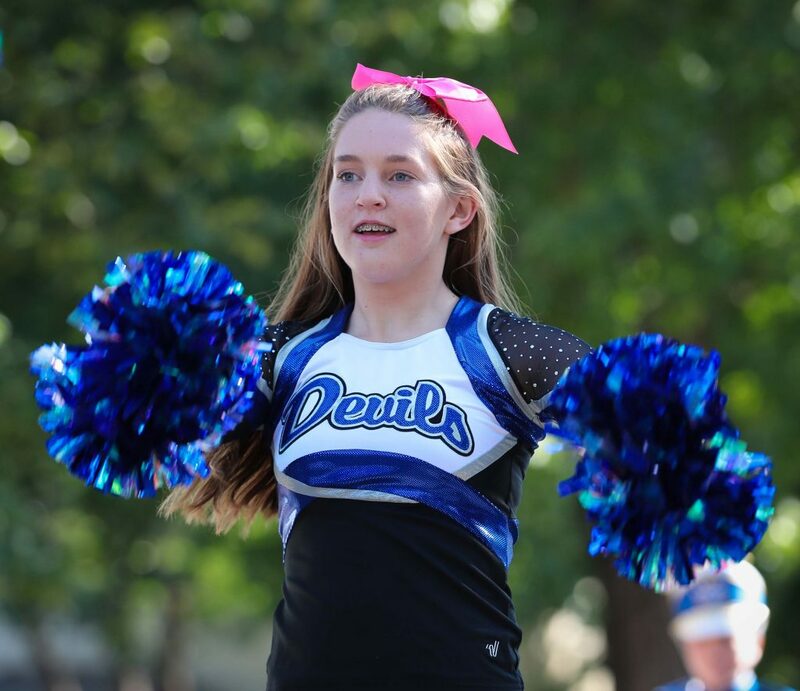 Other first-place honors went to Holdrege, Class B; Kearney Catholic, Class C; and Ravenna, Class D.
In the middle school division, first place went to Lexington Middle School.